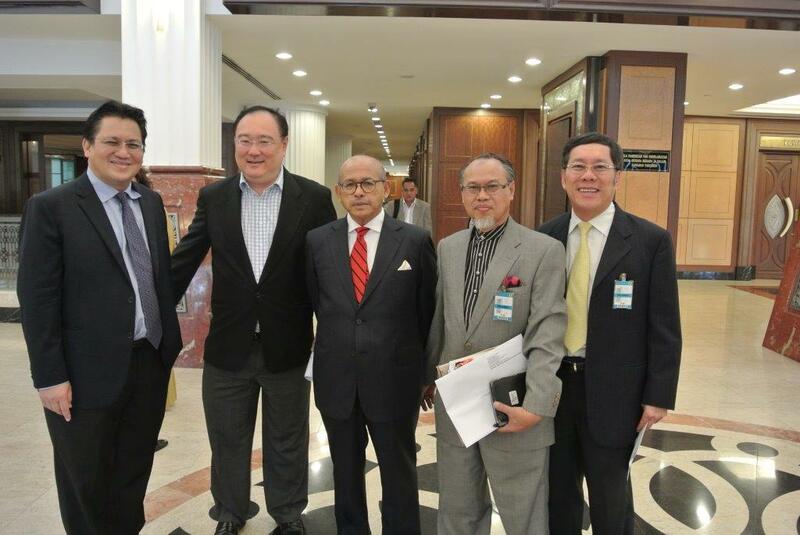 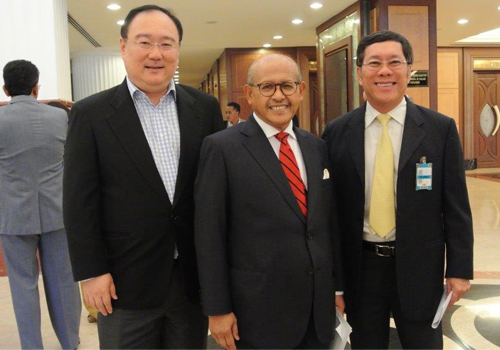 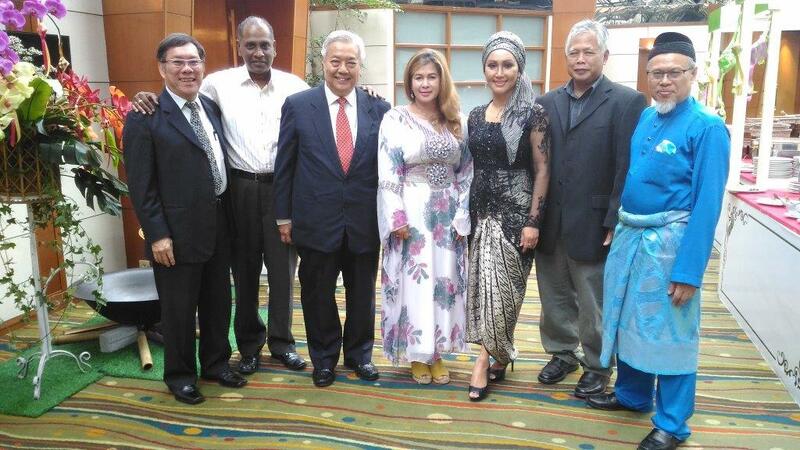 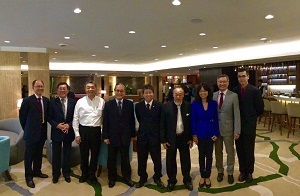 MAHO's team of 6 persons was led by president YBhg Tan Sri Dato' Teo Chiang Hong and MAH's by president Samuel Cheah. 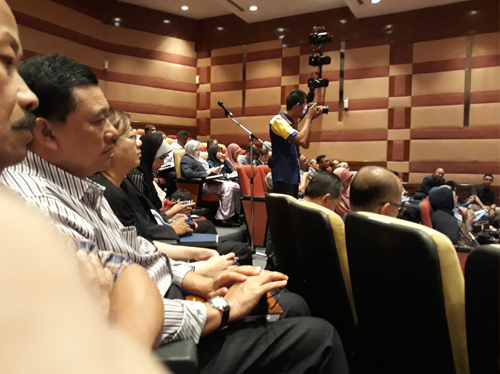 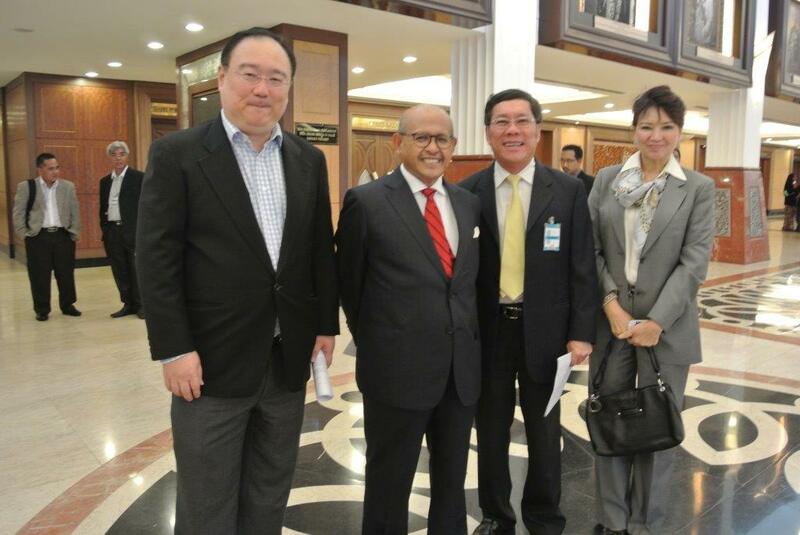 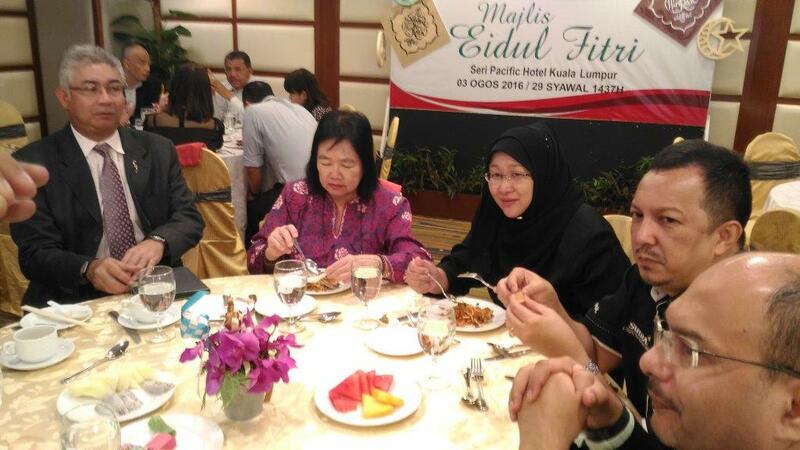 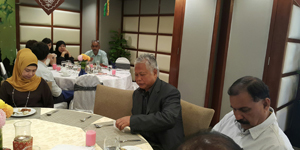 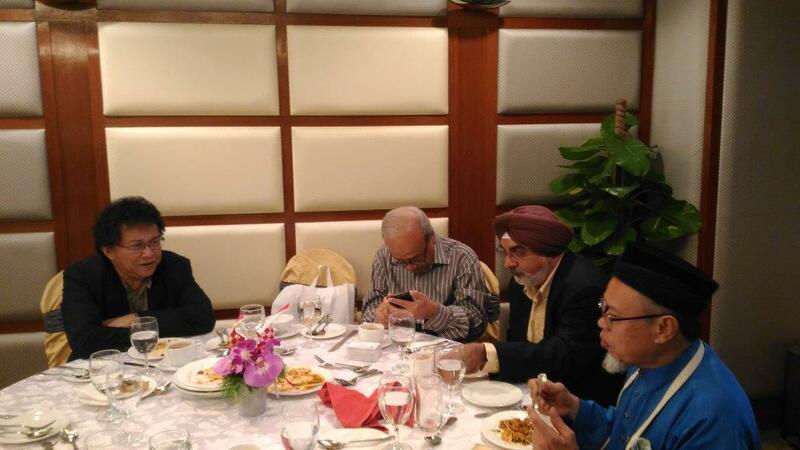 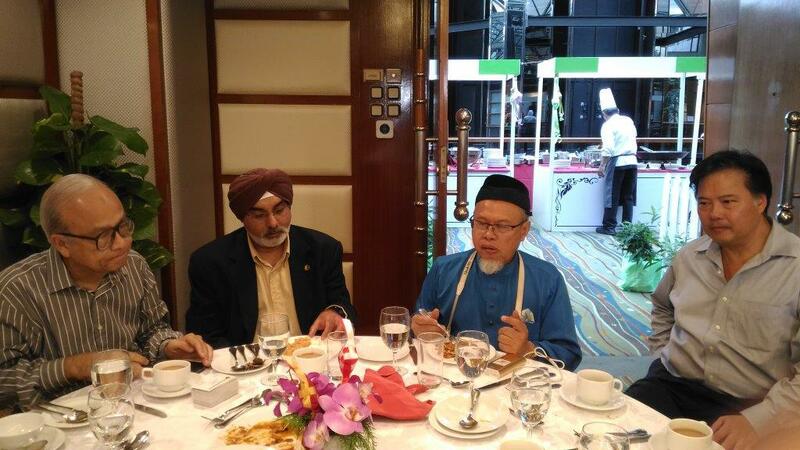 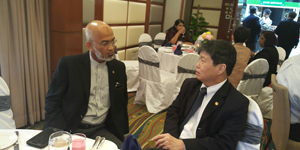 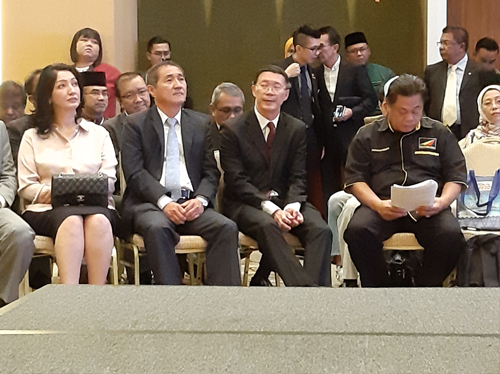 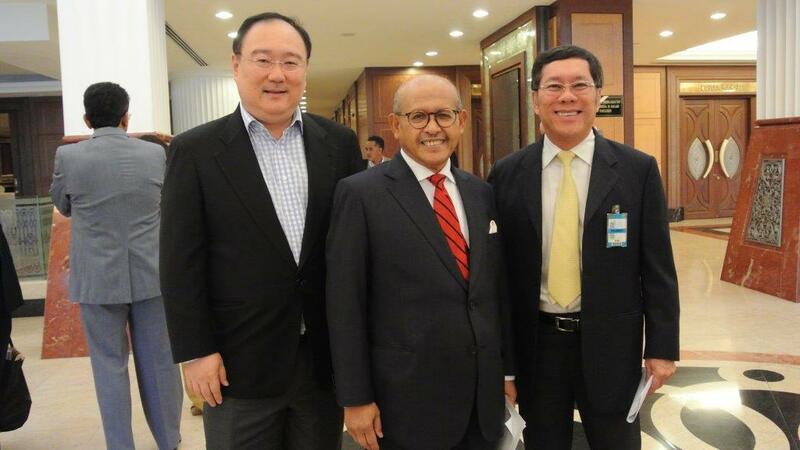 VP Robert Chong Shao Siew and ED Shaharuddin M Saaid attended. 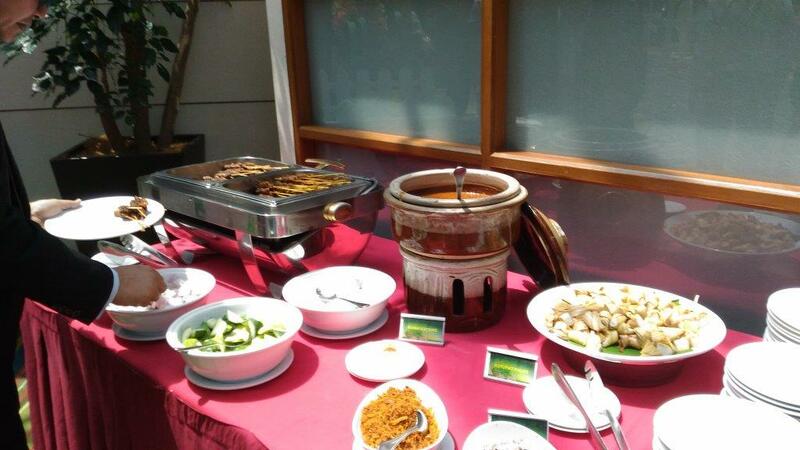 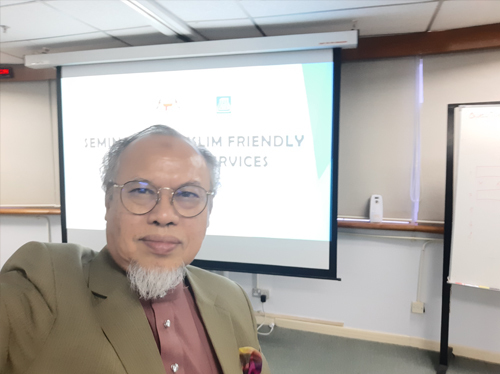 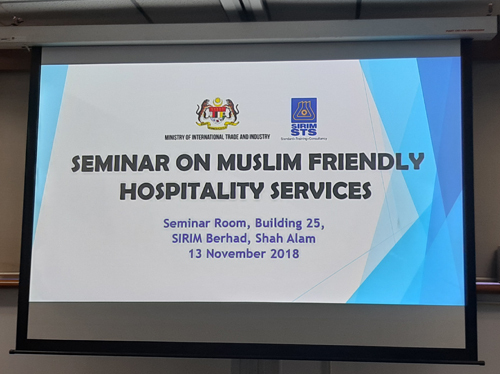 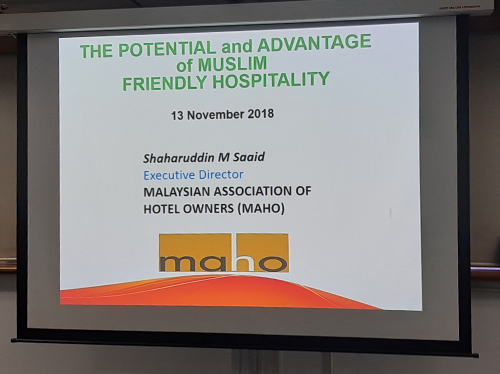 Muslim Friendly Hospitality at the seminar. 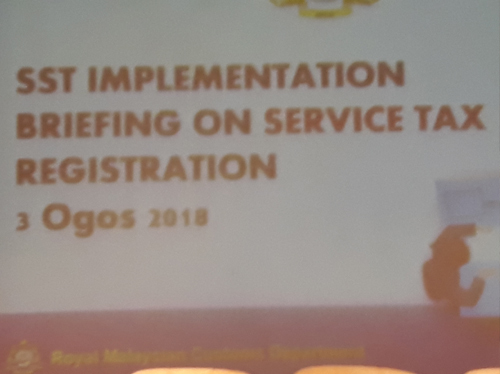 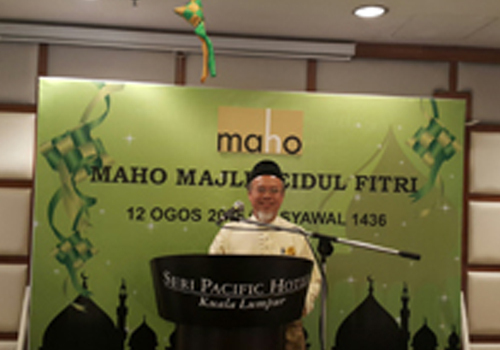 The event was officiated by hon. 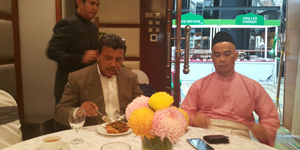 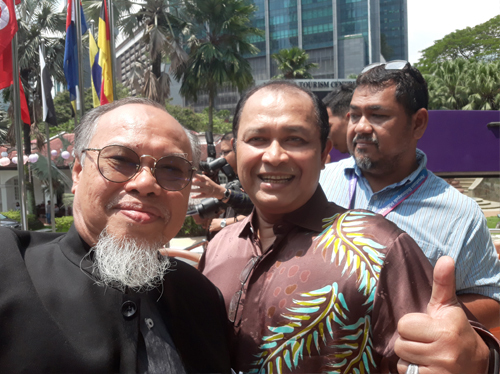 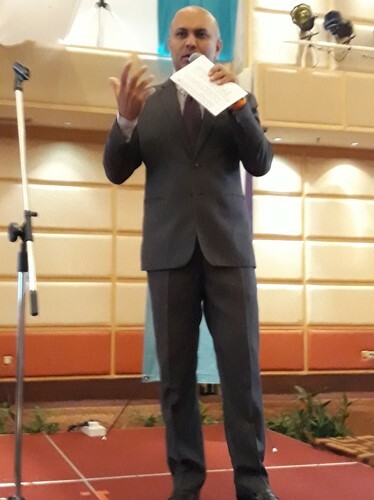 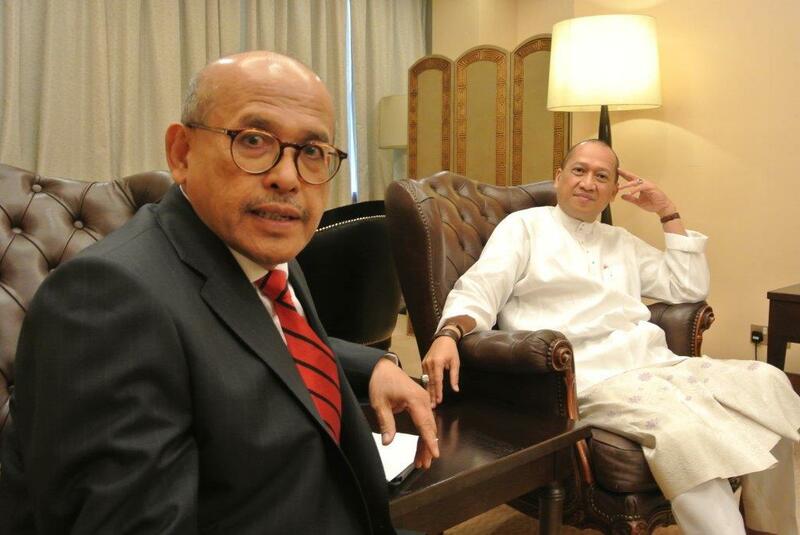 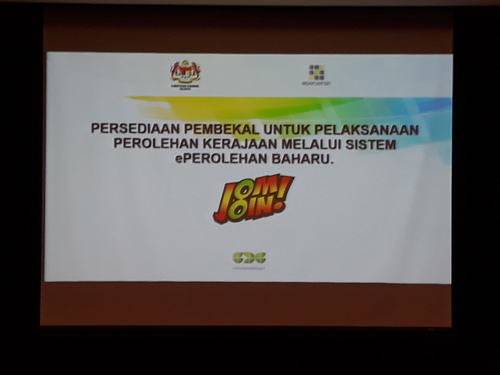 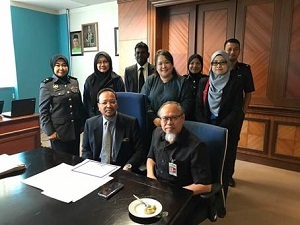 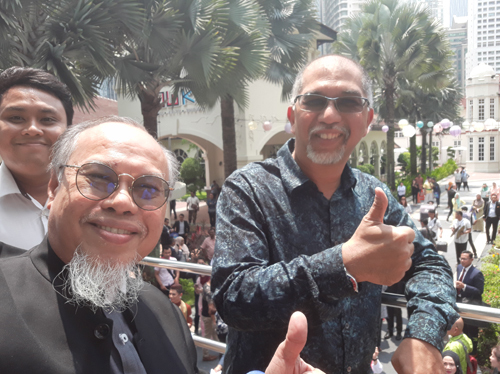 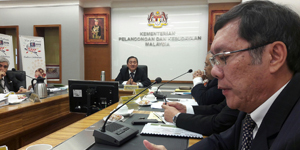 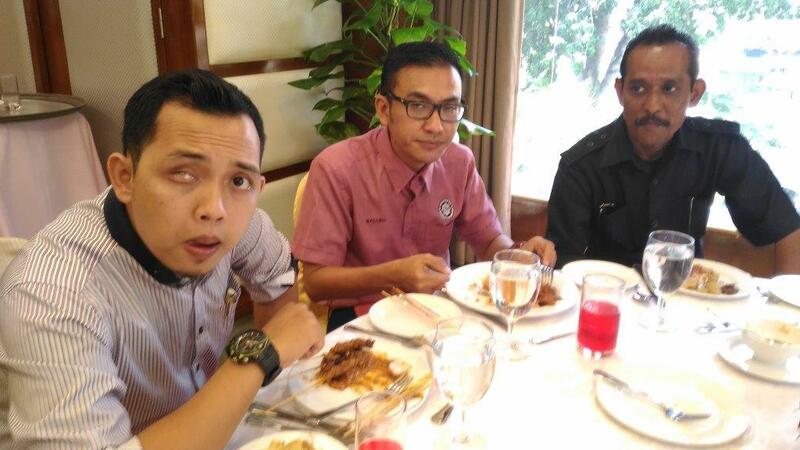 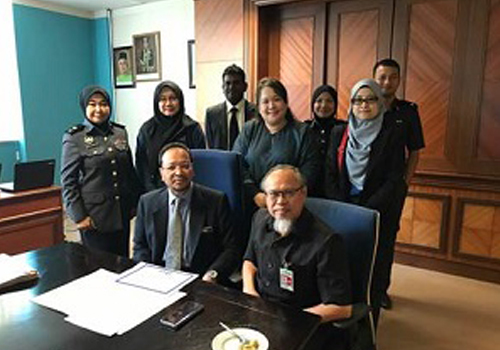 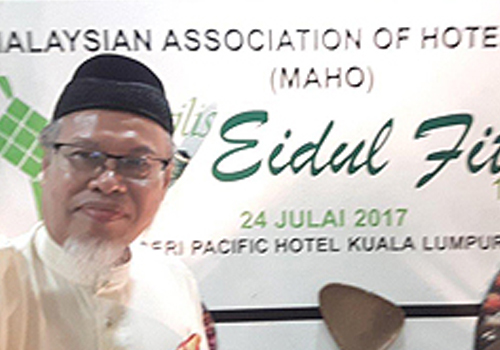 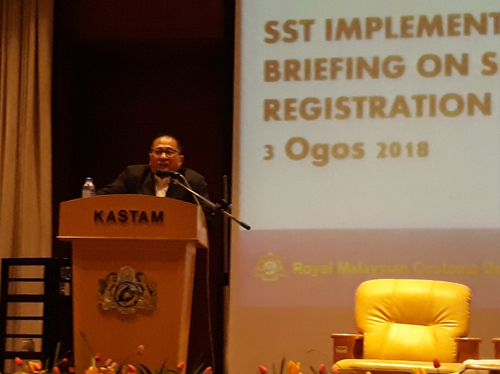 MoTAC minister, Tuan Mohamaddin Ketapi. 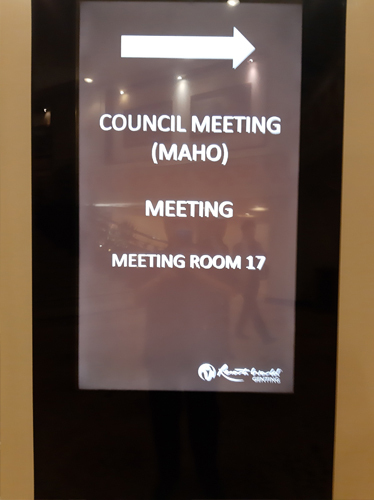 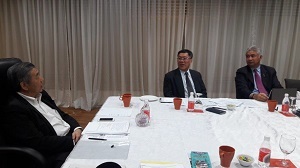 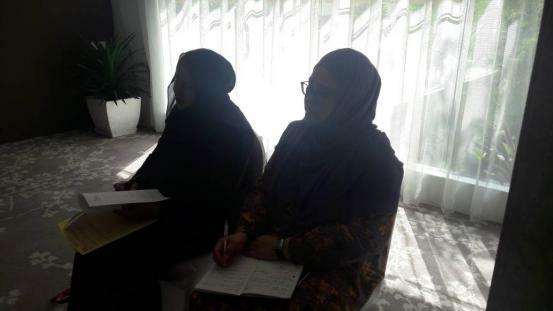 MAHO held its 1st meeting for the new council of 2018-2019 term. 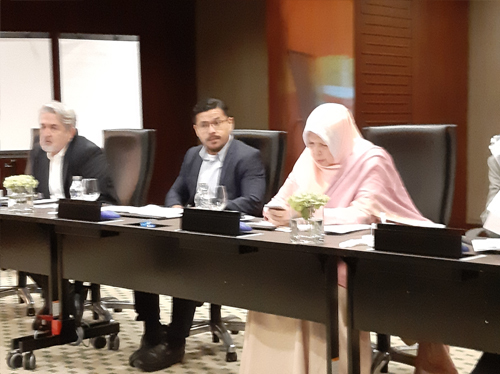 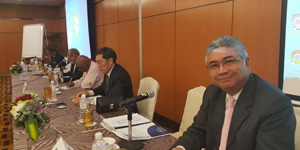 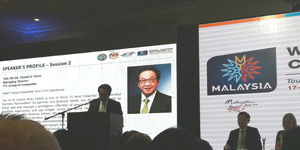 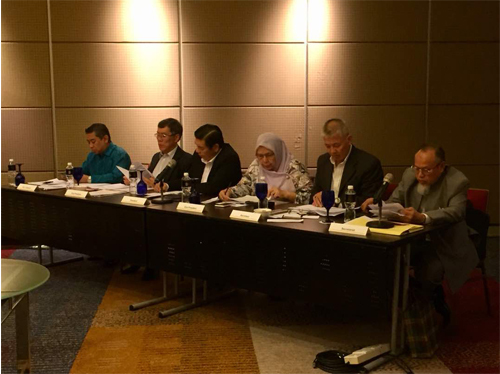 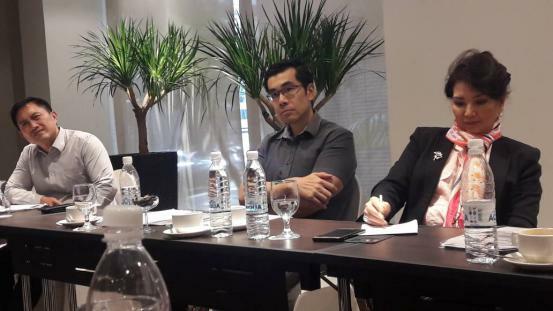 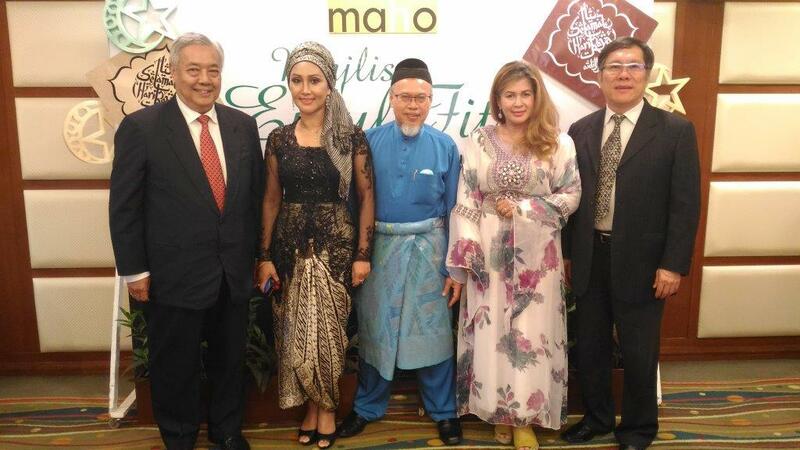 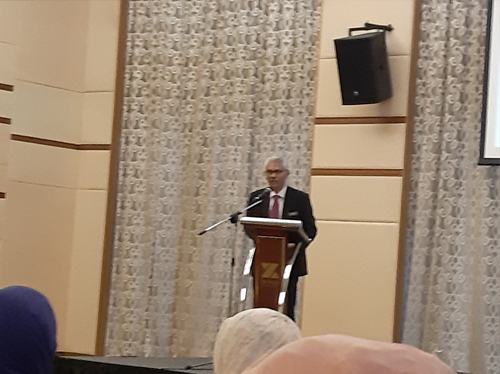 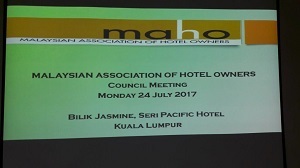 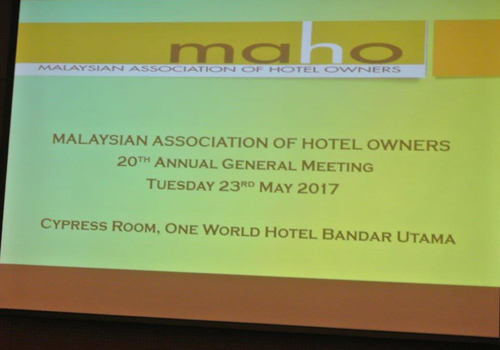 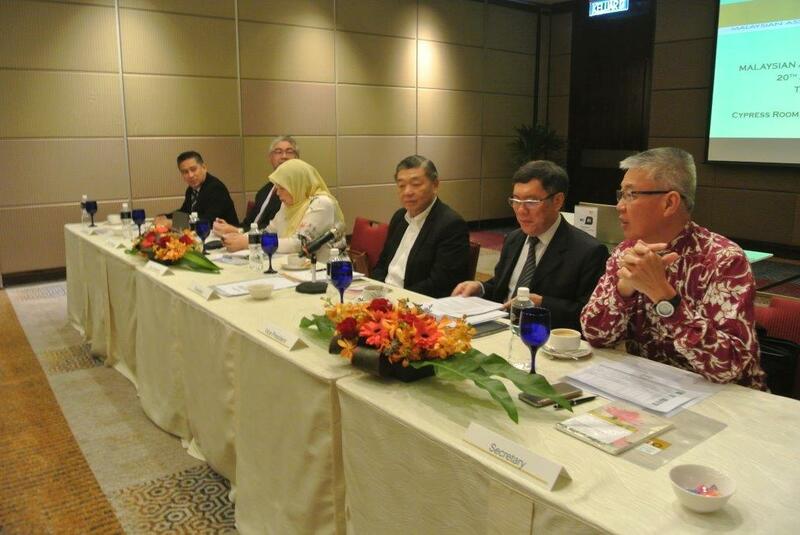 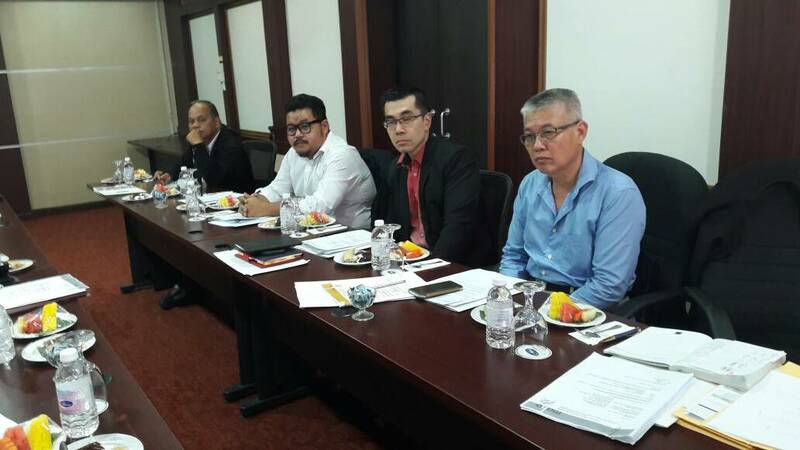 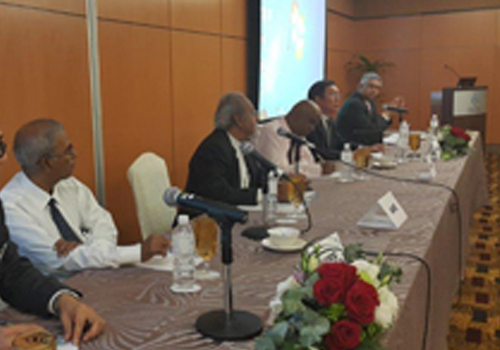 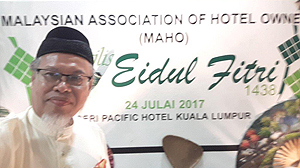 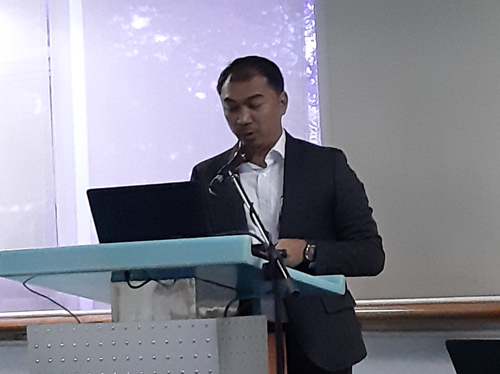 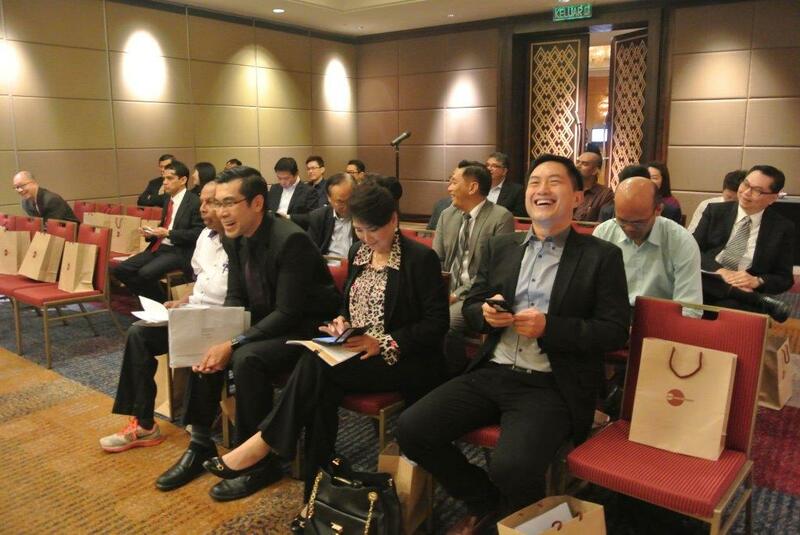 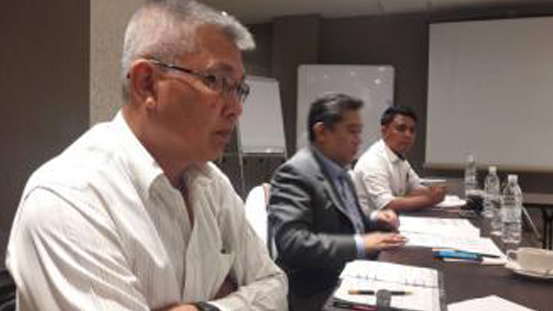 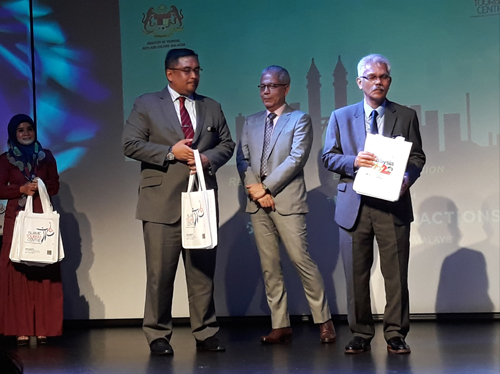 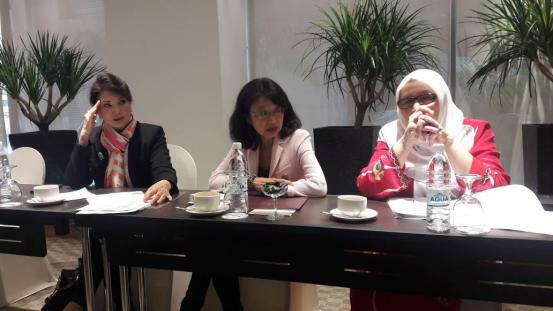 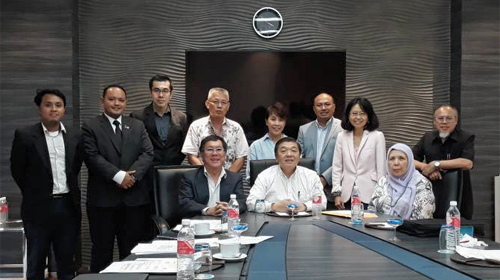 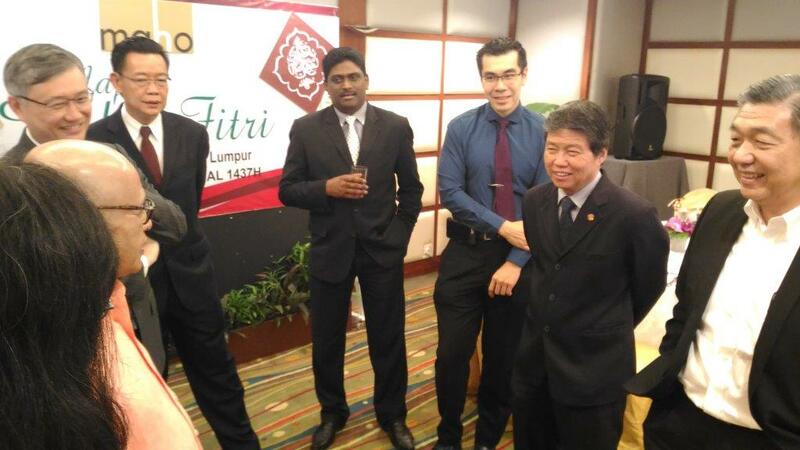 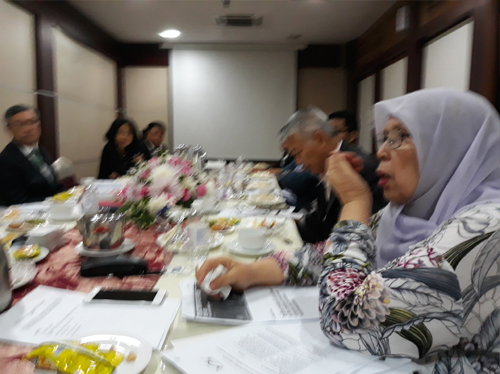 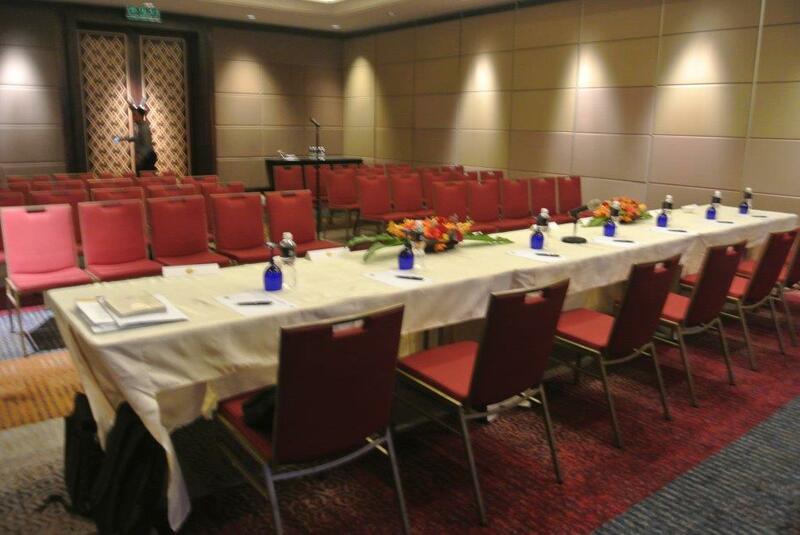 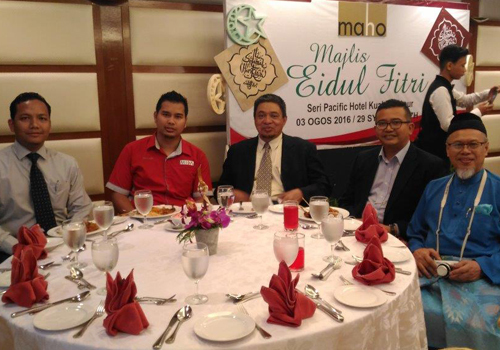 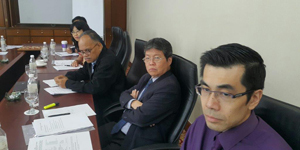 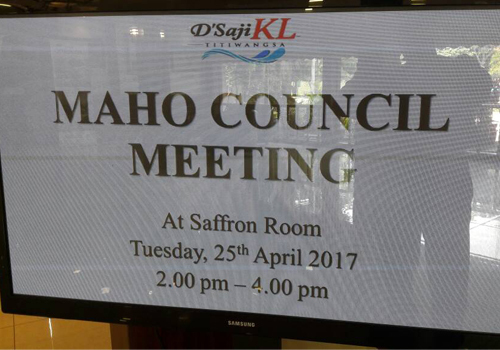 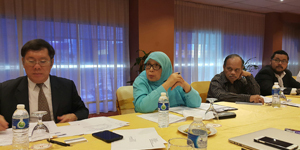 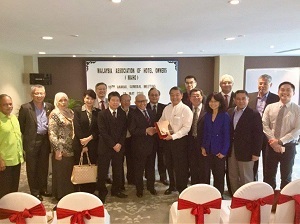 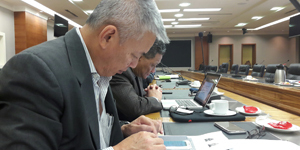 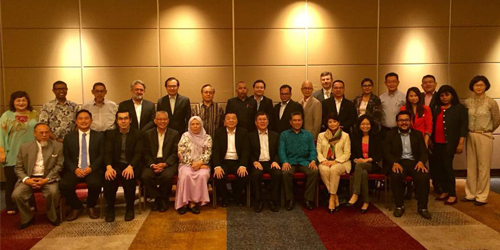 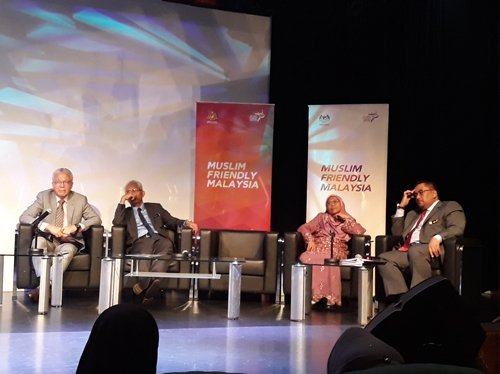 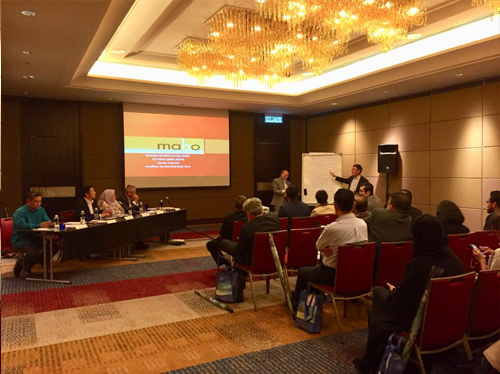 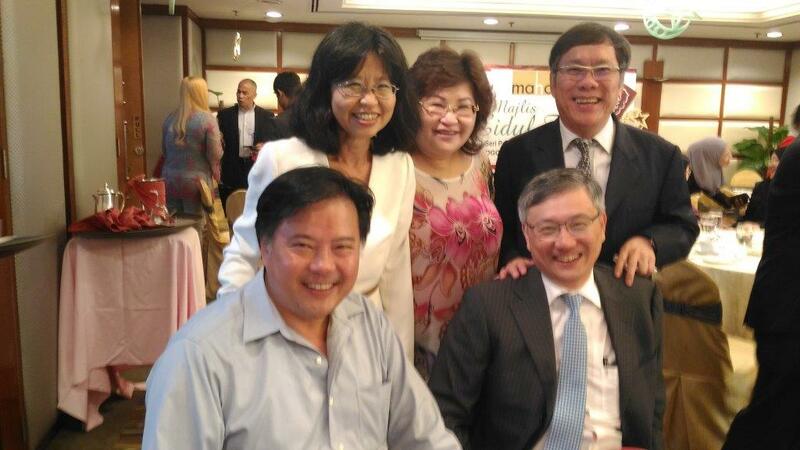 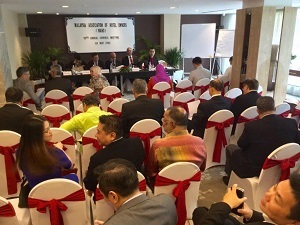 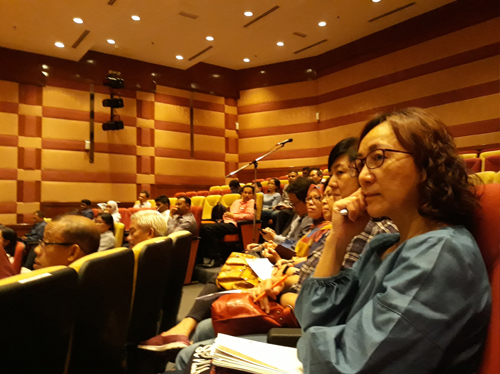 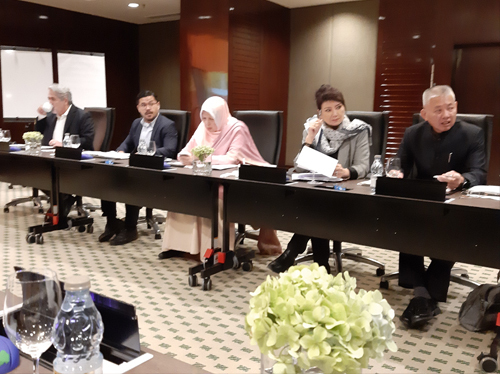 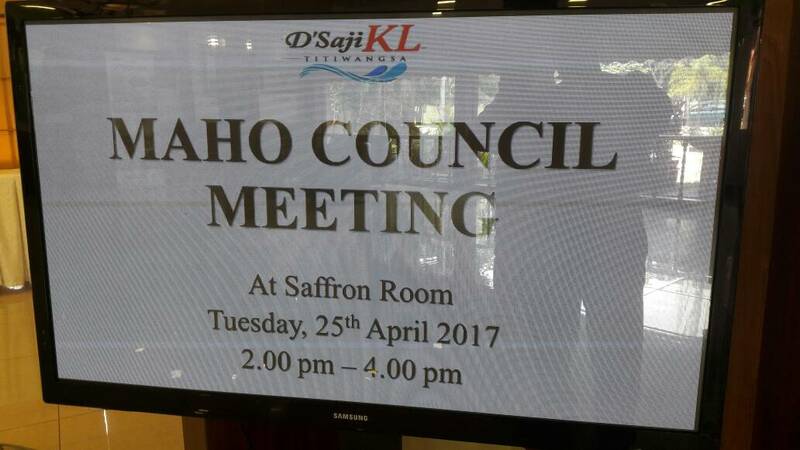 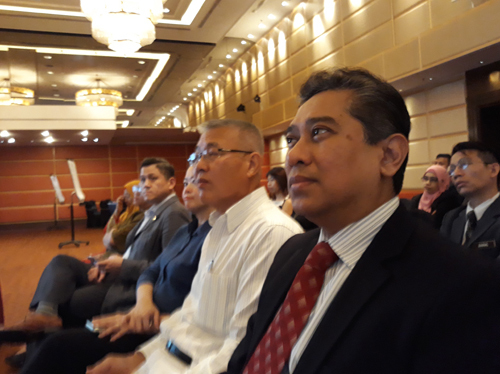 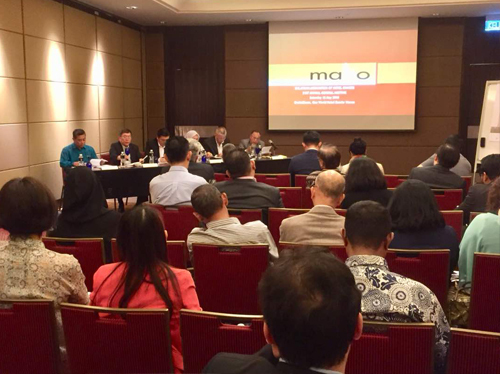 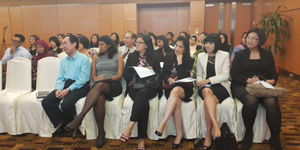 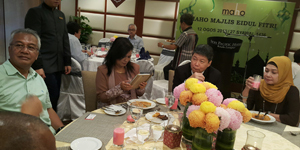 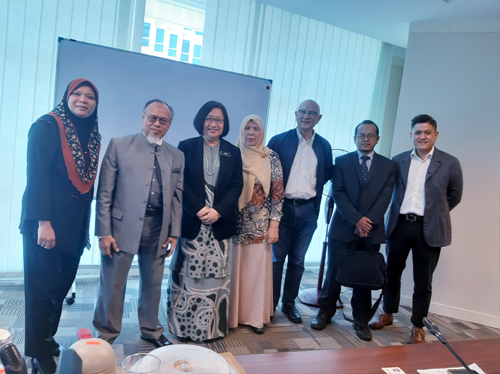 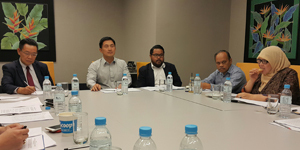 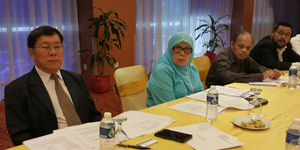 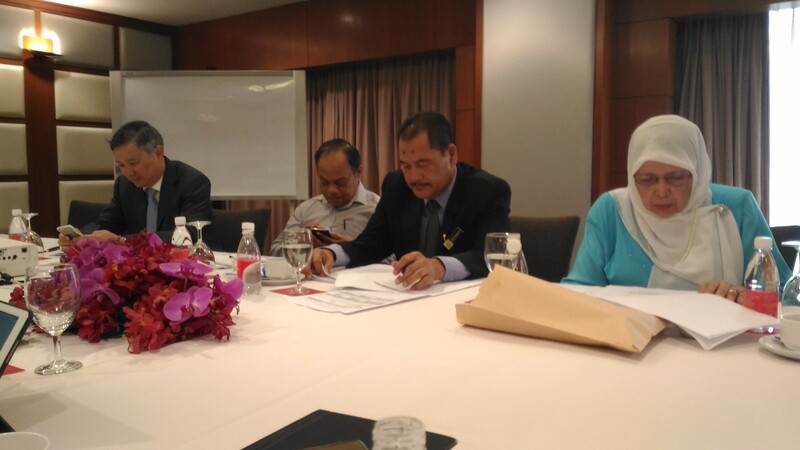 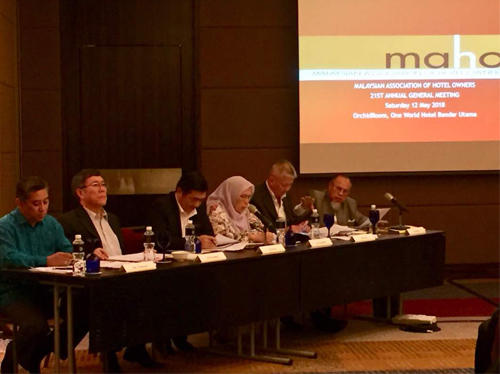 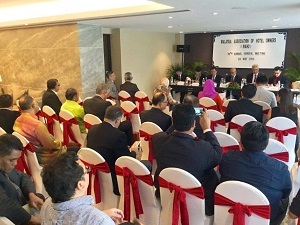 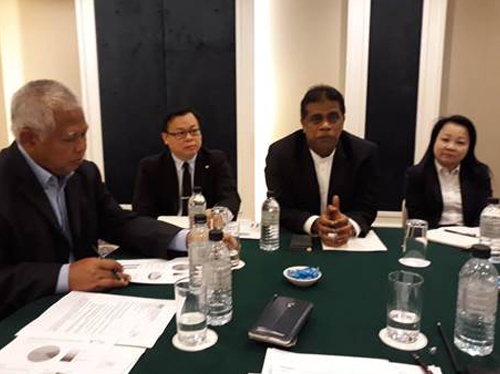 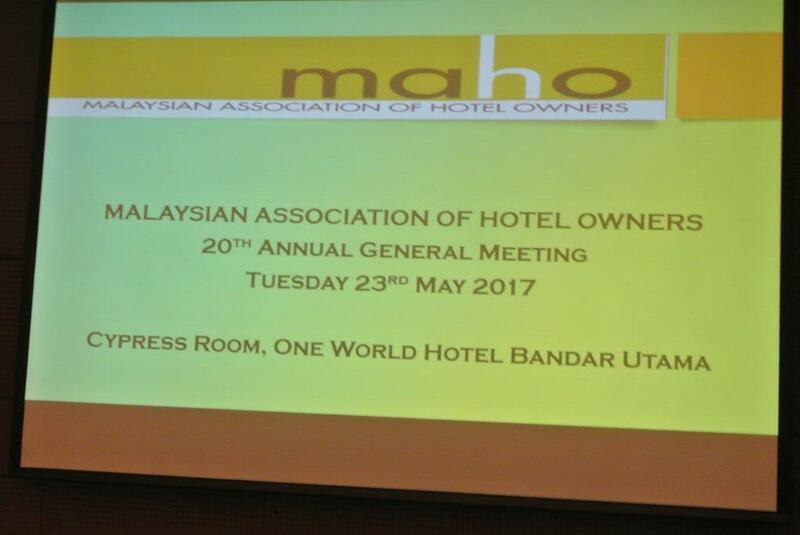 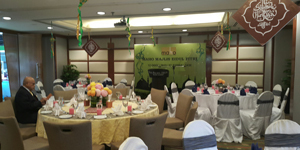 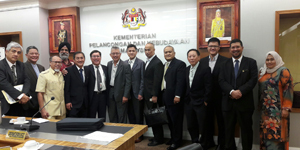 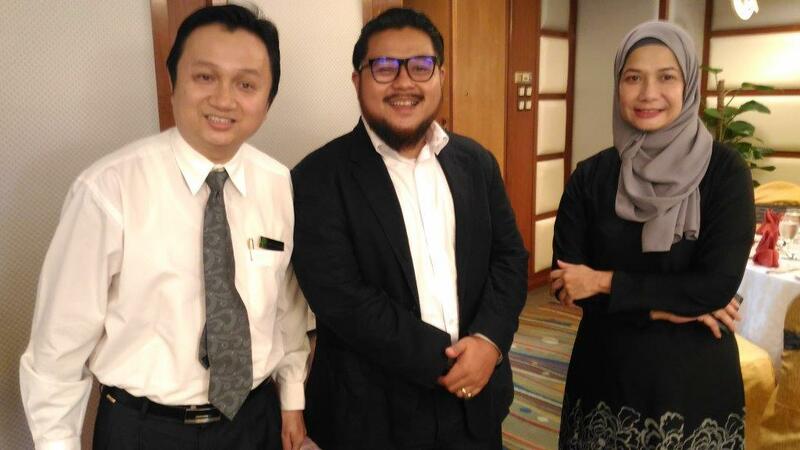 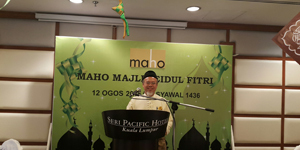 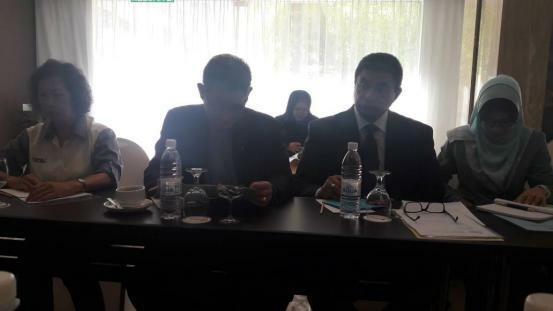 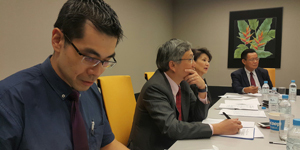 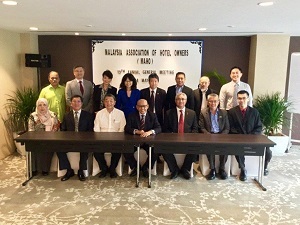 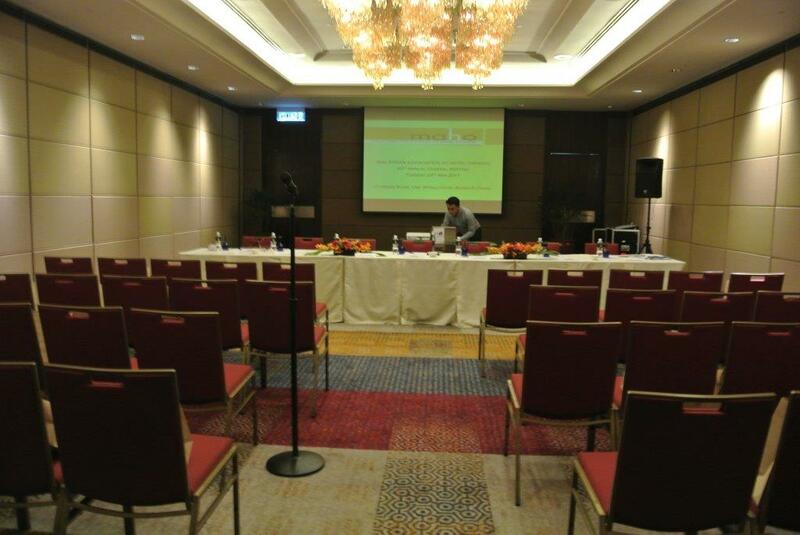 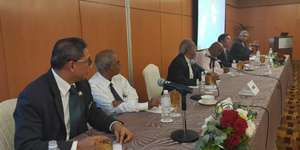 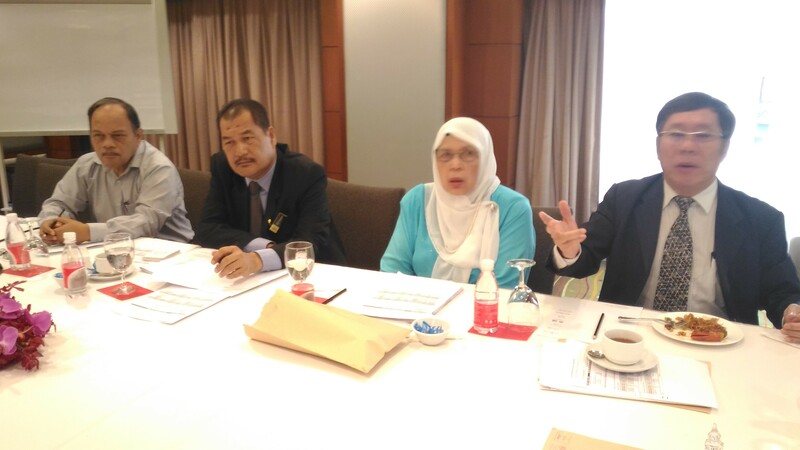 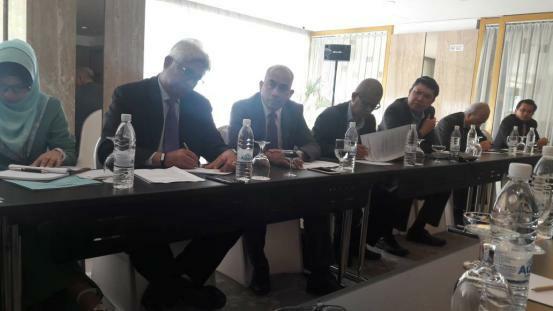 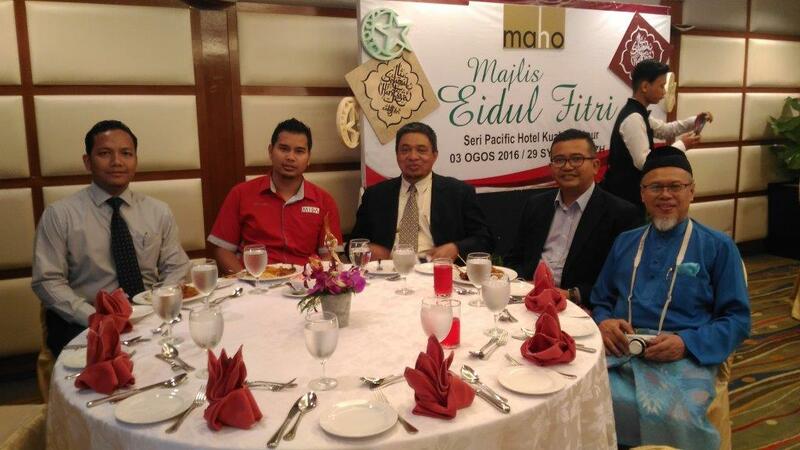 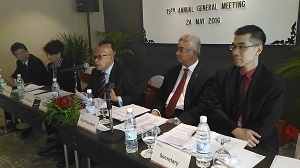 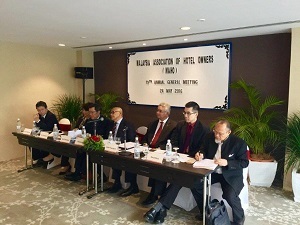 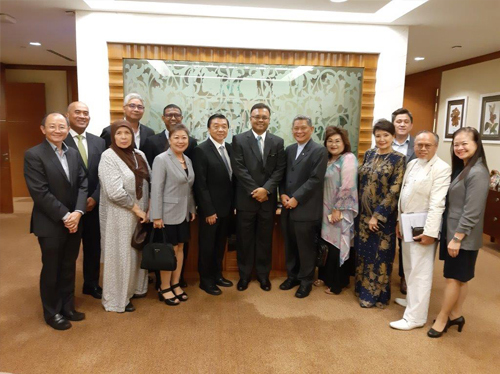 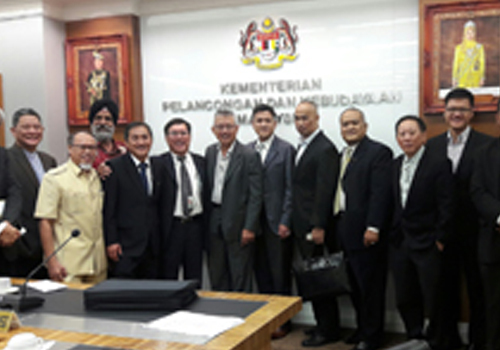 MAHO successfully held its 19th AGM on 24 May at the Federal KL. 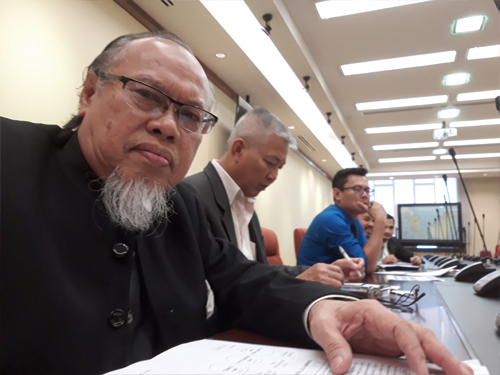 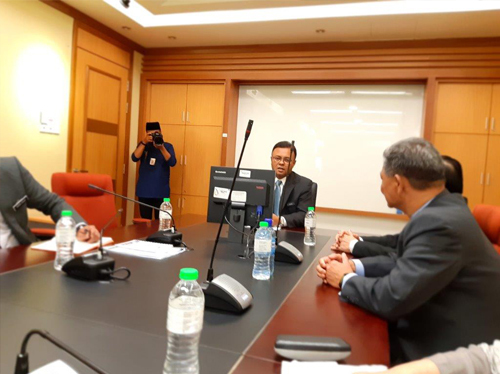 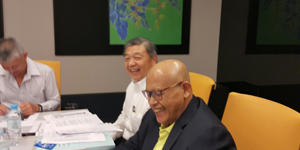 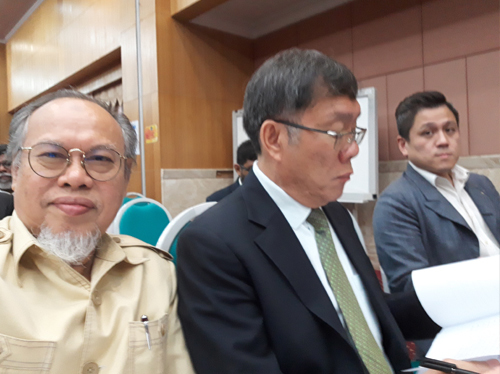 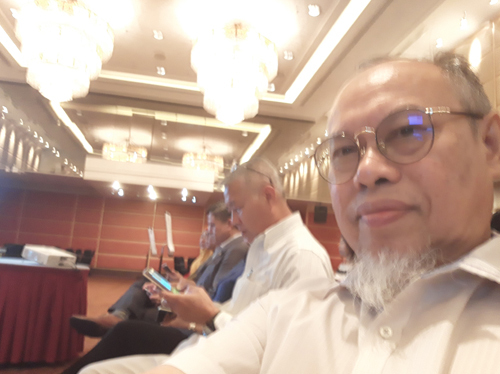 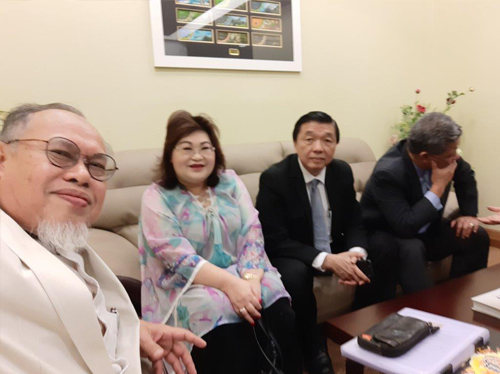 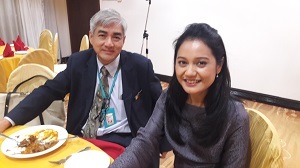 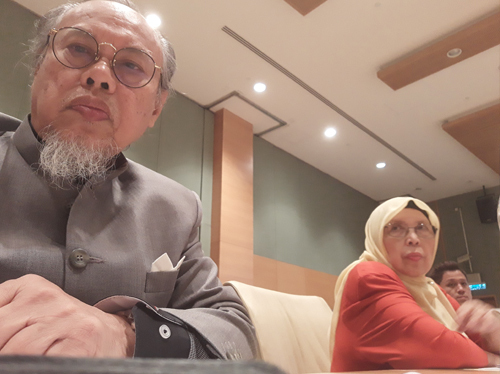 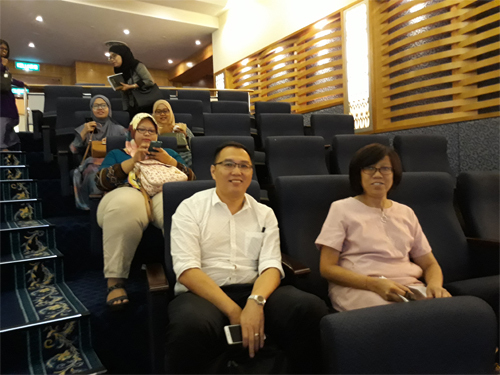 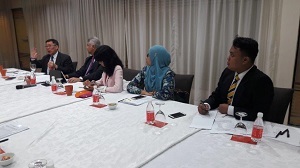 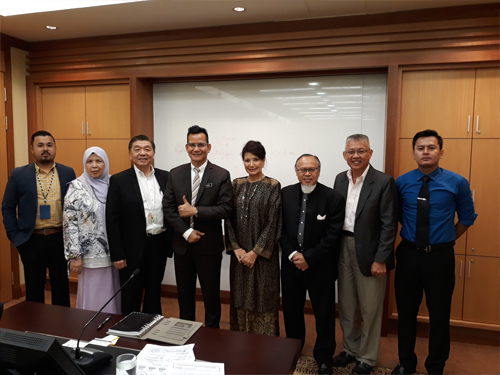 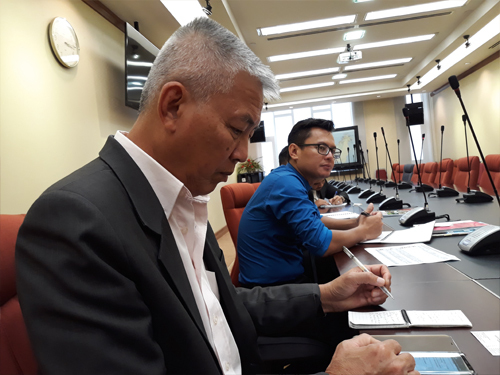 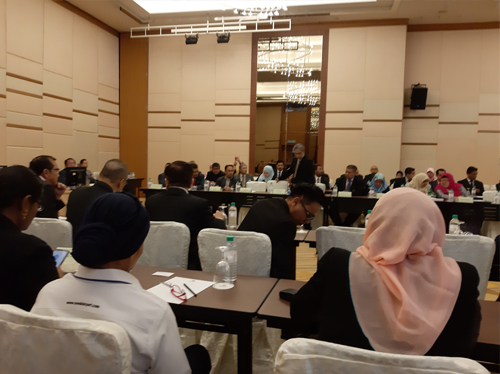 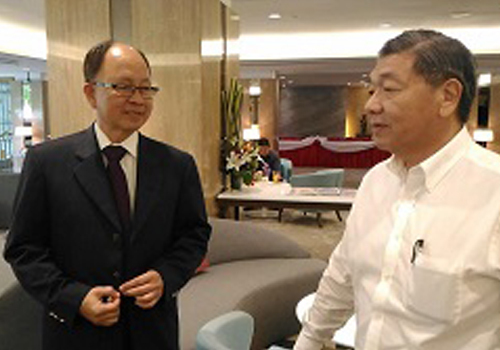 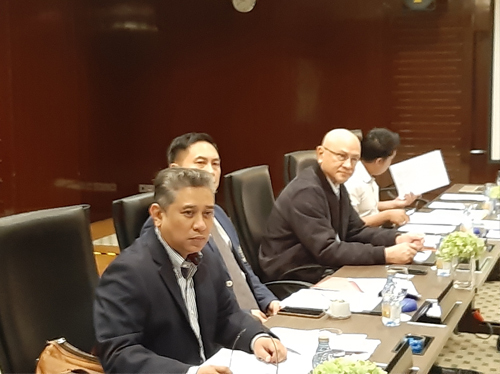 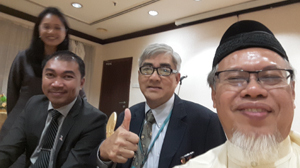 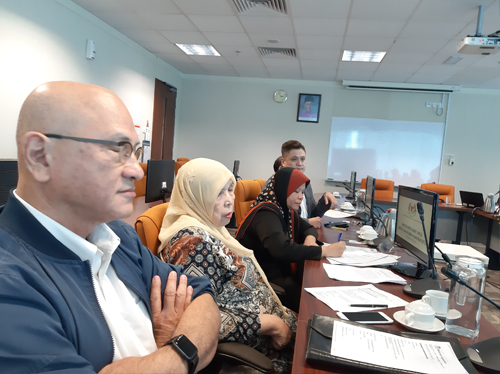 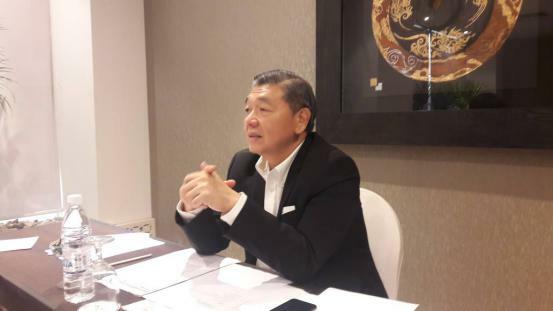 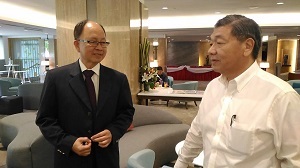 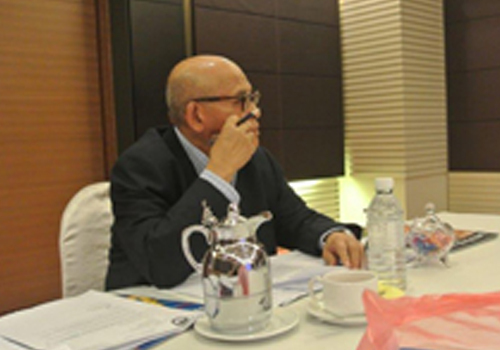 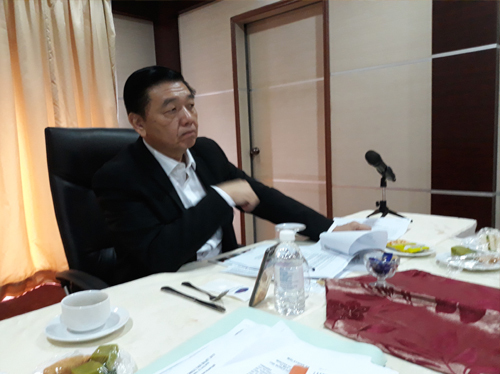 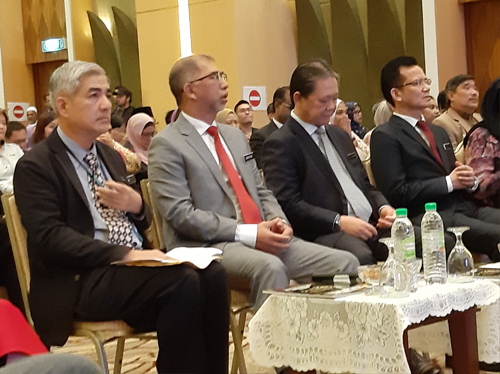 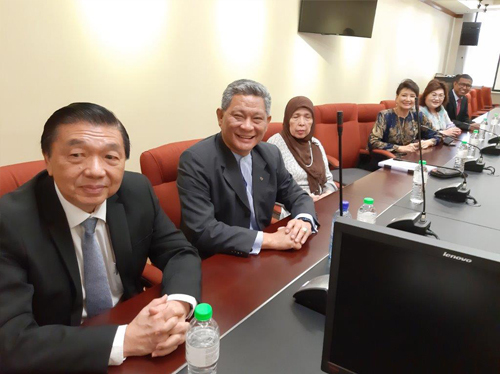 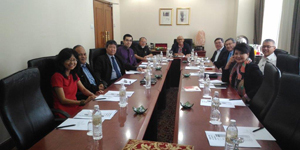 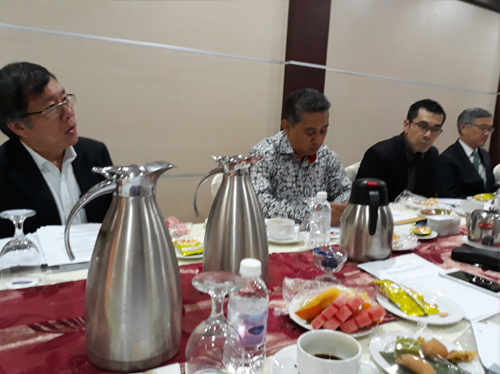 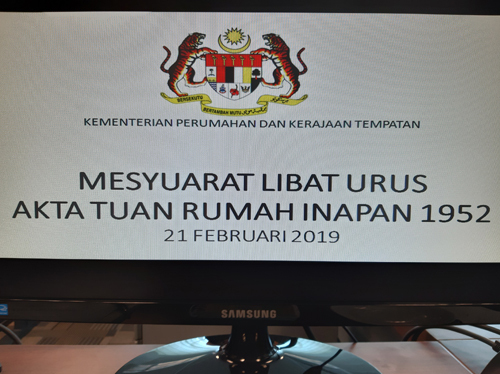 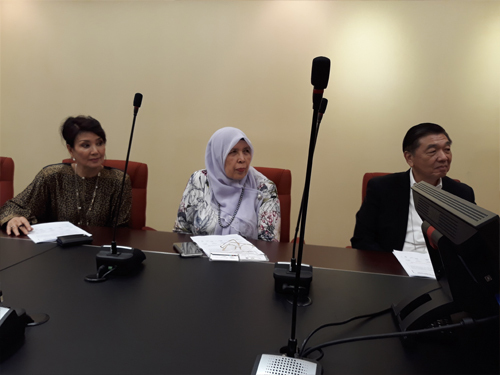 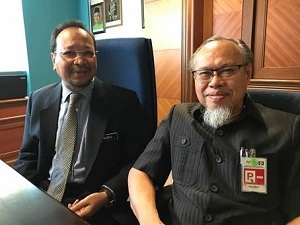 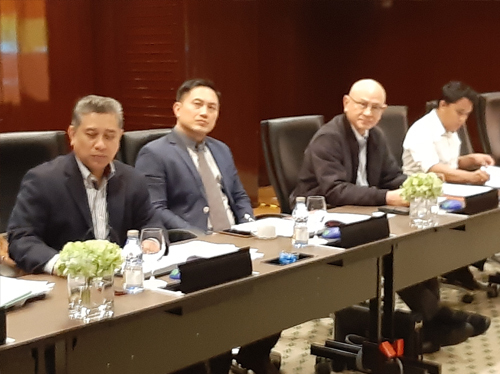 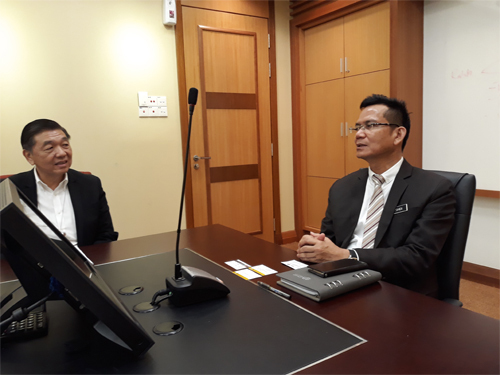 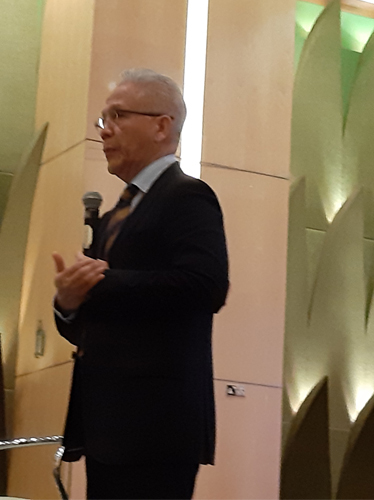 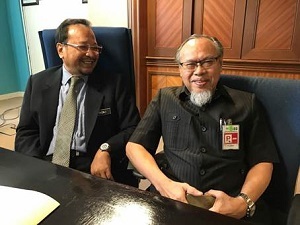 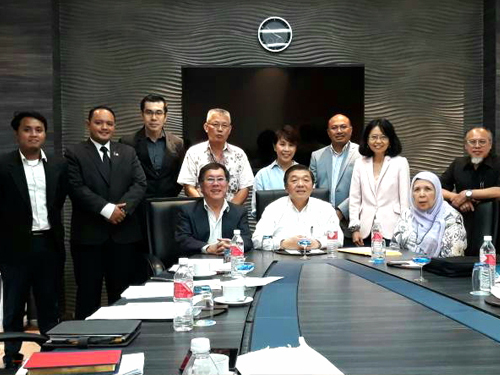 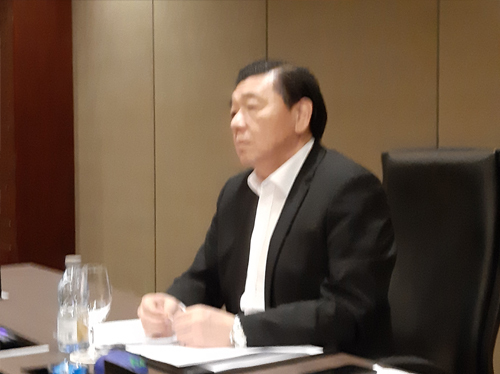 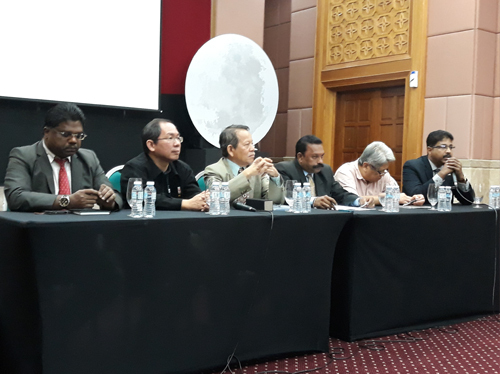 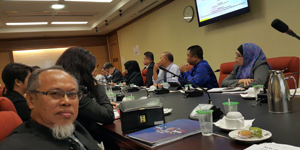 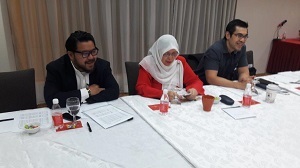 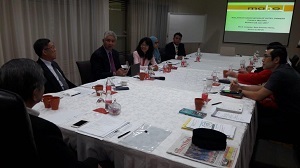 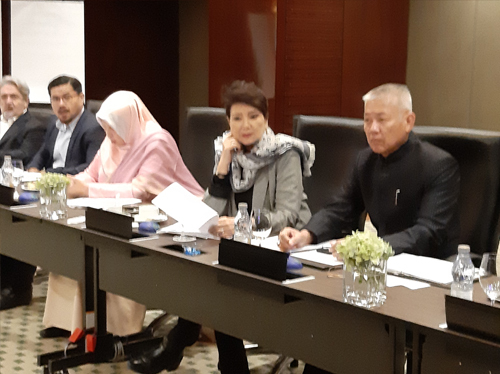 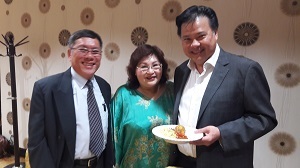 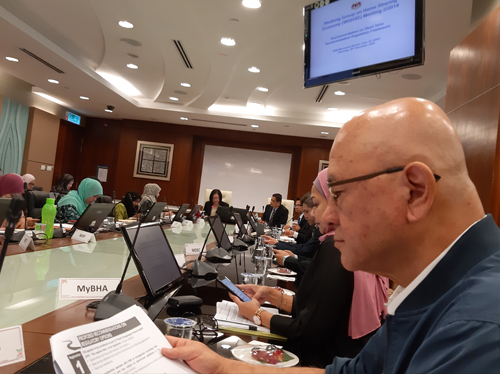 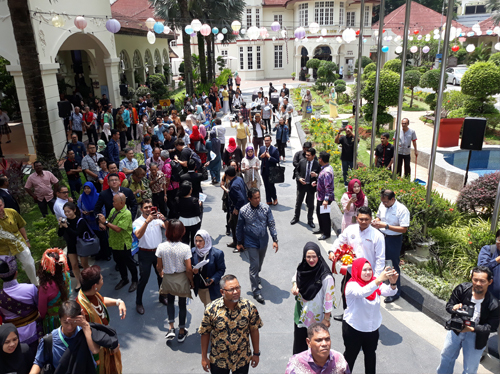 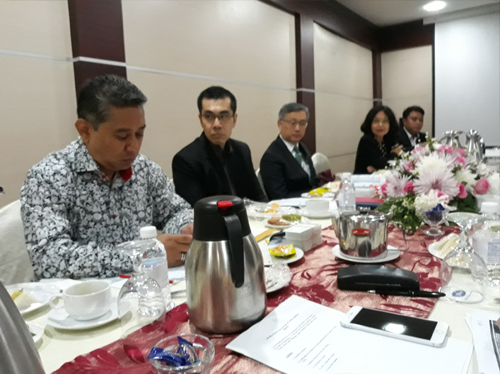 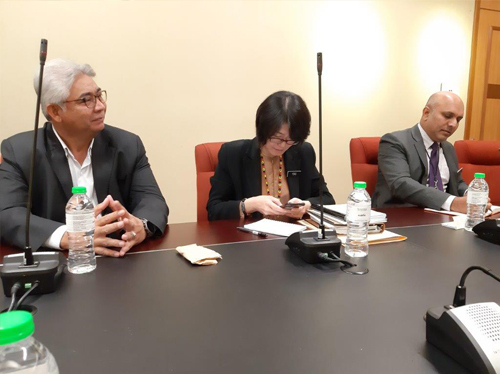 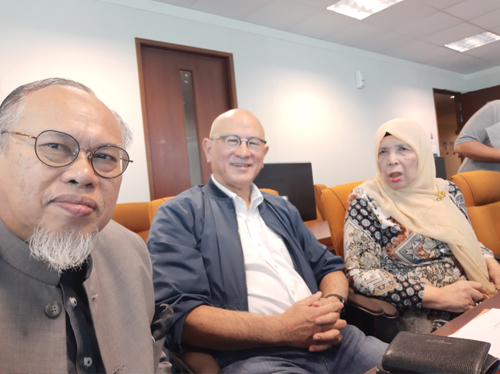 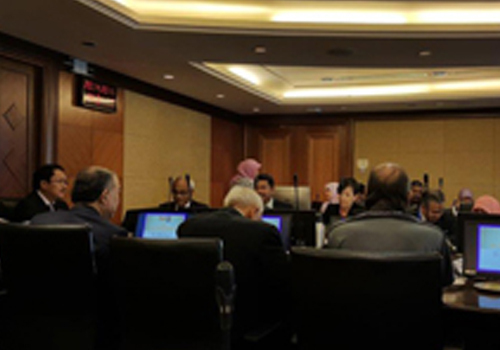 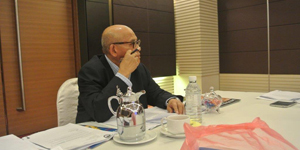 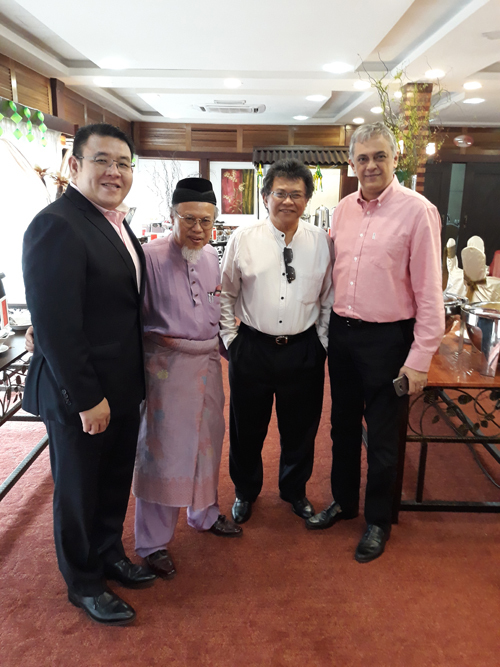 The election for the council 2016-18 was held and YBhg Tan Sri Dato' Teo Chiang Hong of Bandar Utama City Sdn Bhd was elected the president succeeding YBhg Tan Sri Dato' Sri Abdul Aziz Abdul Rahman who did not seek re-election. 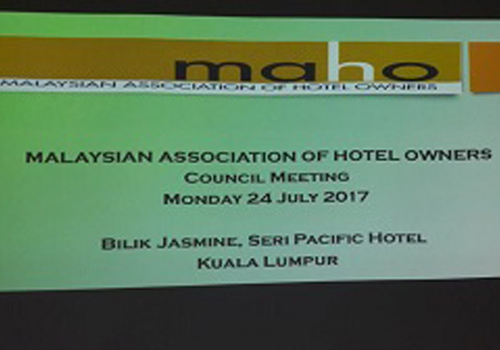 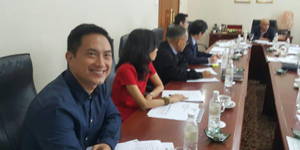 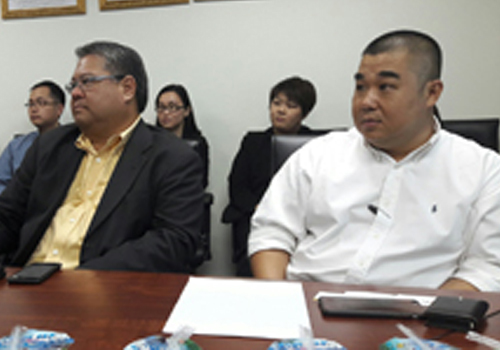 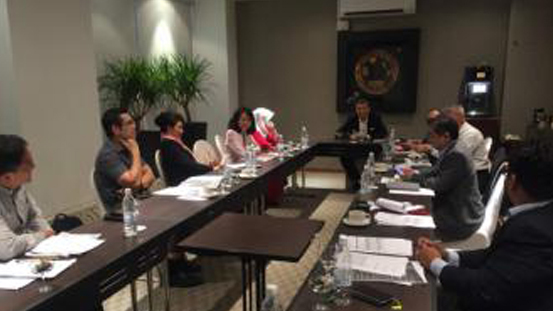 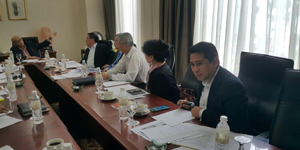 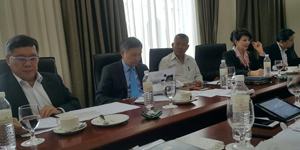 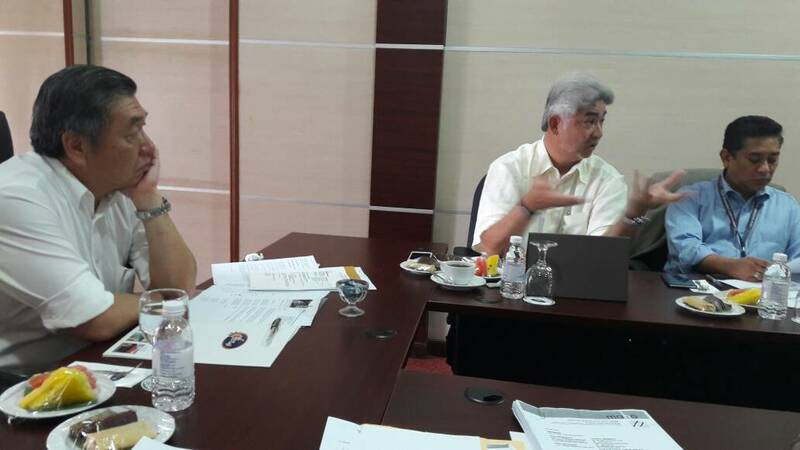 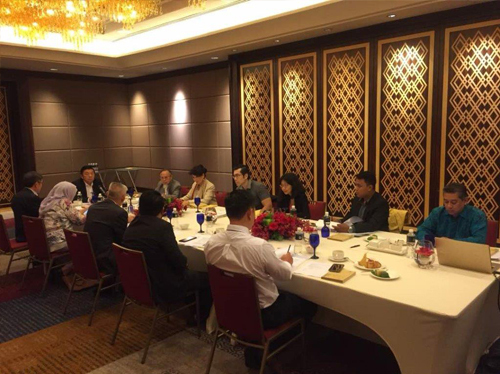 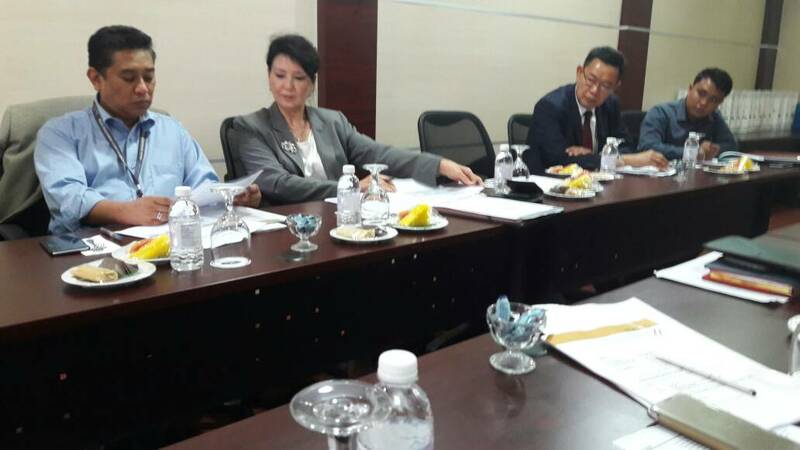 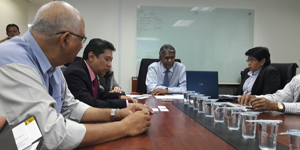 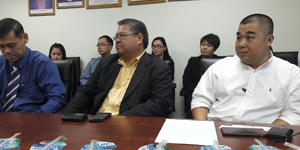 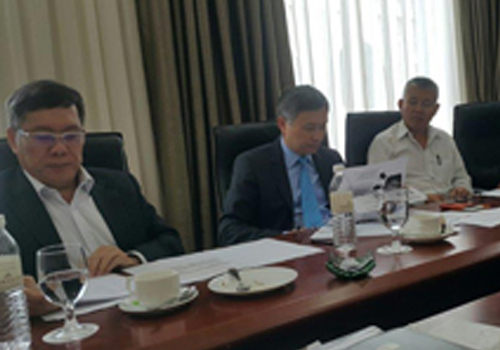 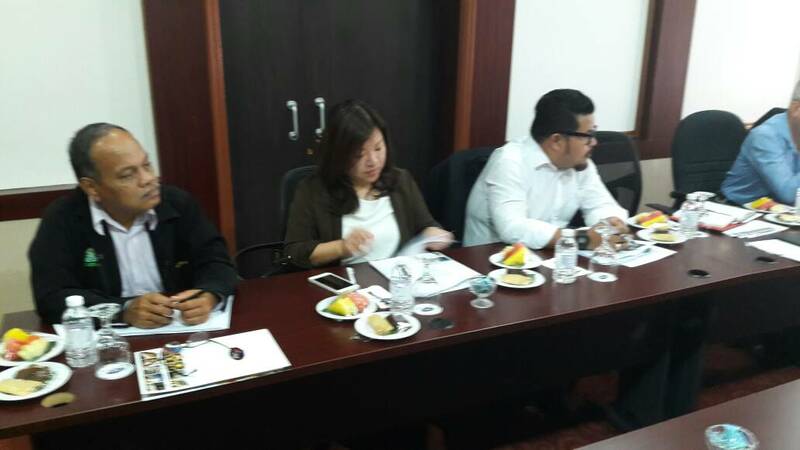 Meeting with MoTAC on illegal tourist accommodation premises and Tourism Service Fee - 8 Sep 2016. 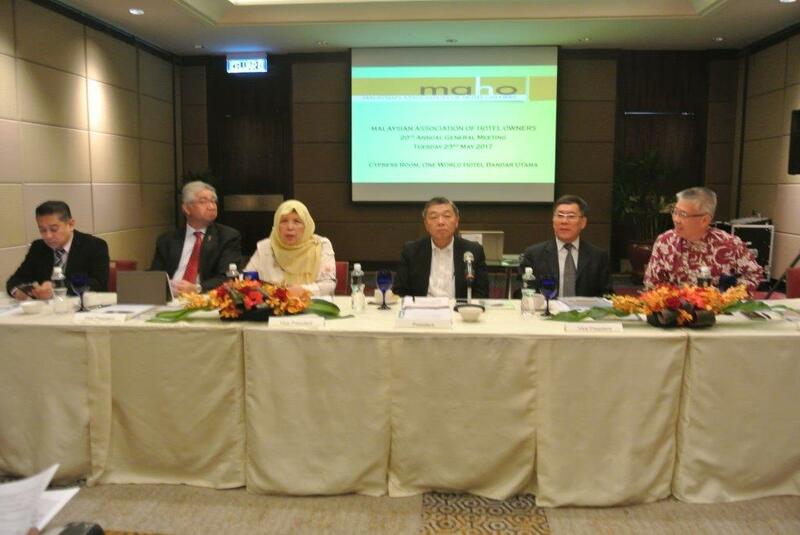 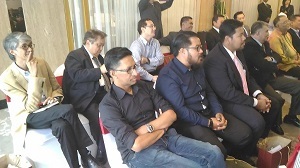 Attendance from MAHO VP/Robert Chong, Secretary/Anthony Wong and ED/Shaharuddin. 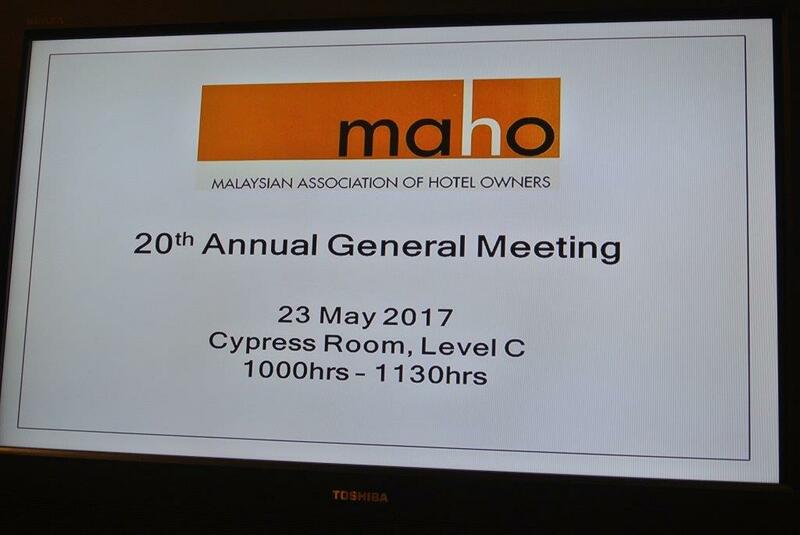 Attendance from MAHO- Hon. 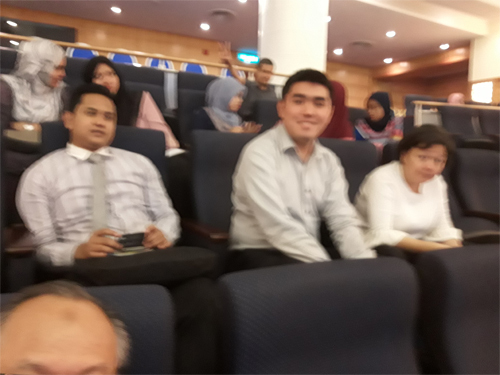 Treasurer/Megat Shahrul Azman and ED/Shaharuddin. 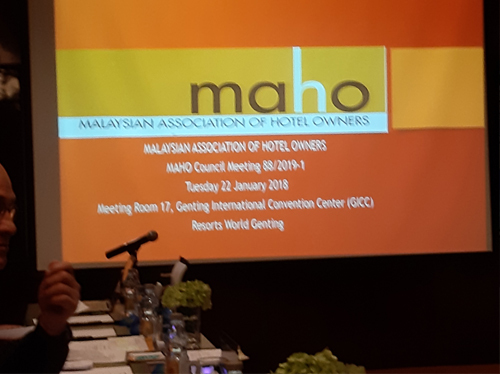 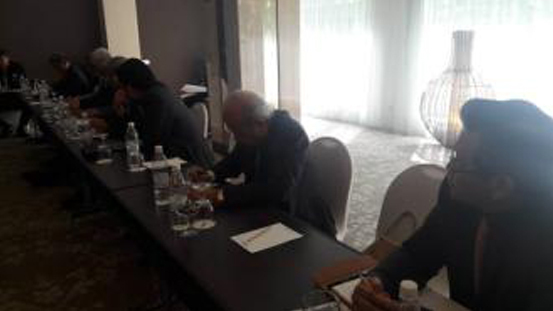 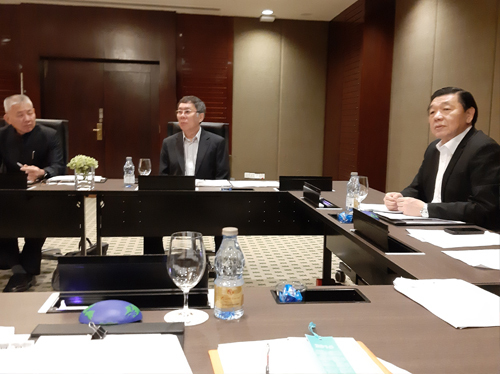 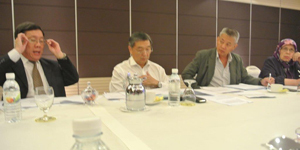 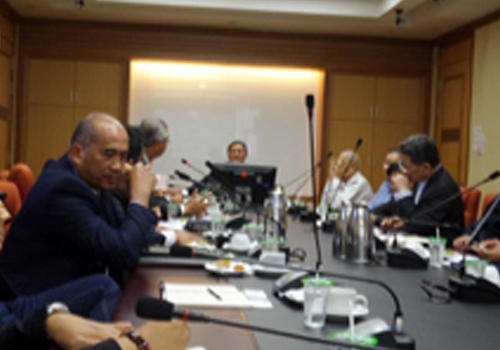 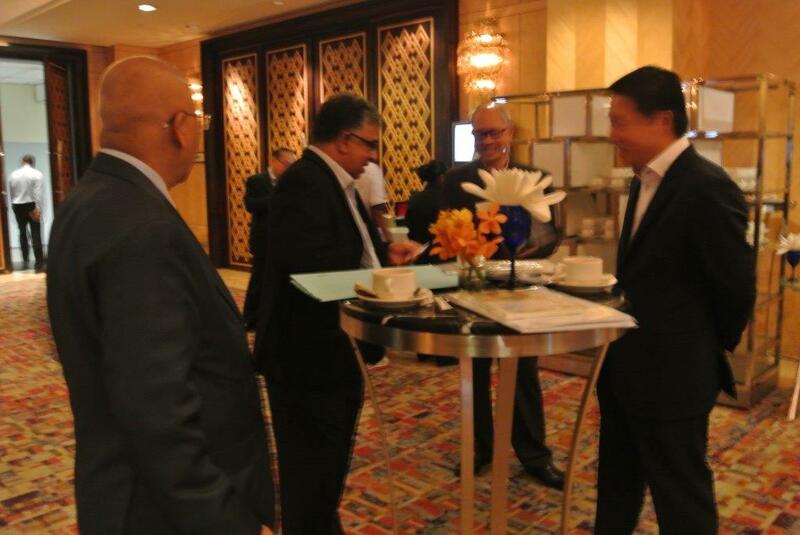 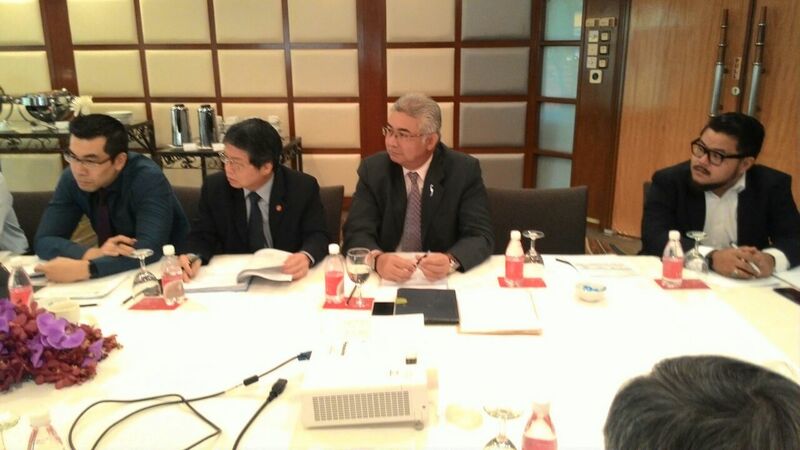 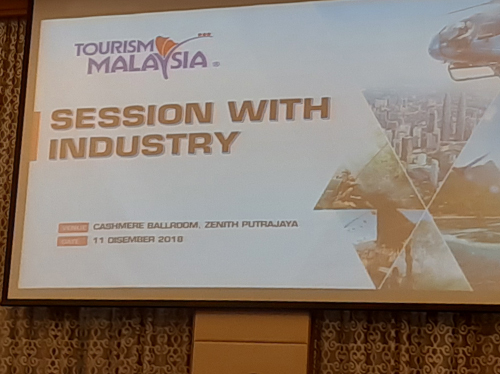 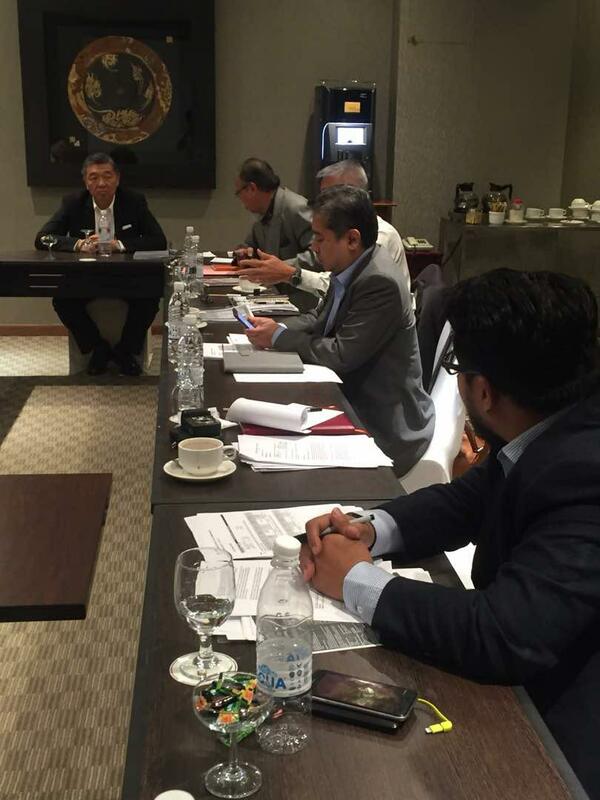 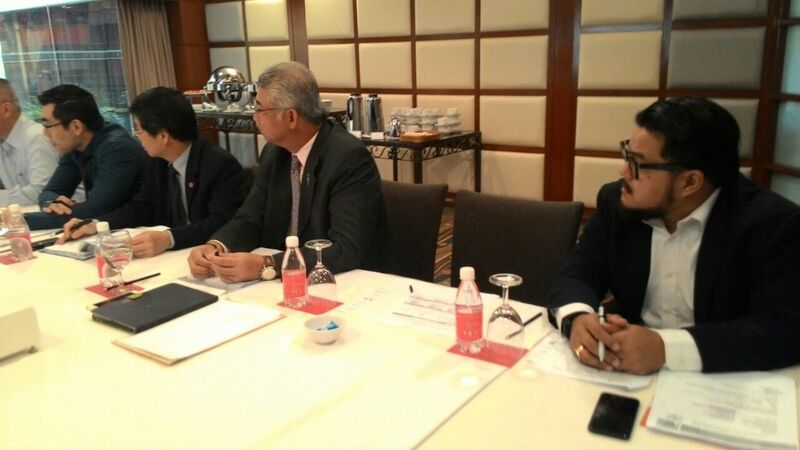 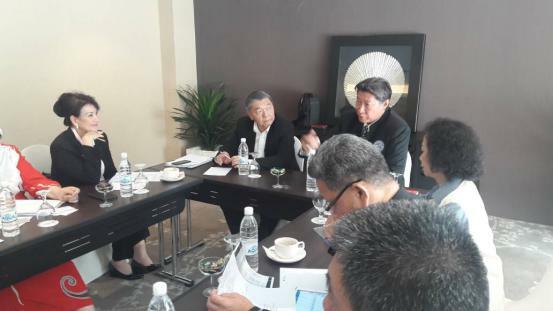 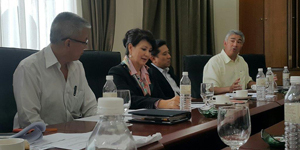 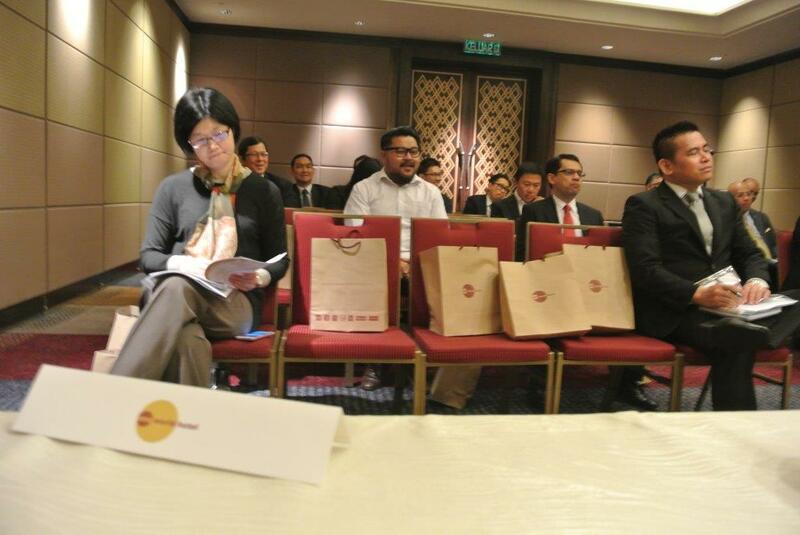 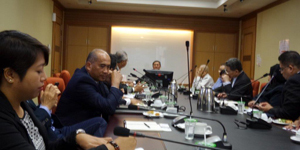 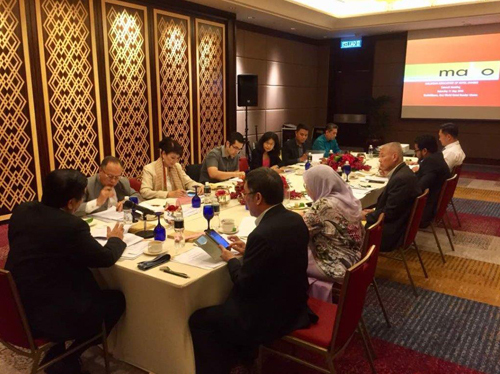 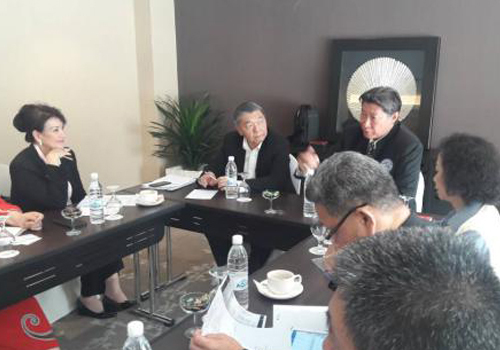 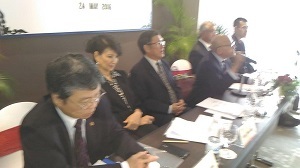 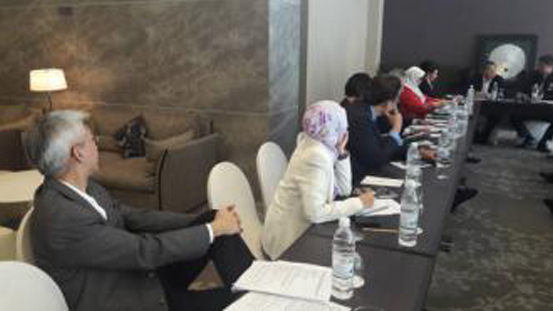 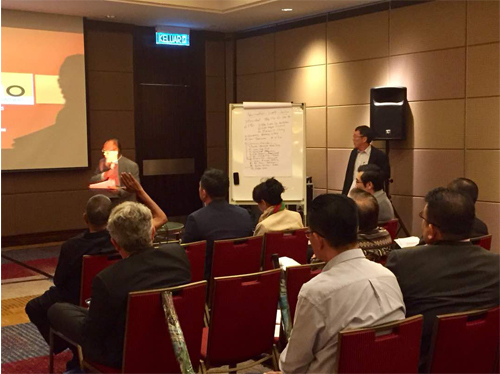 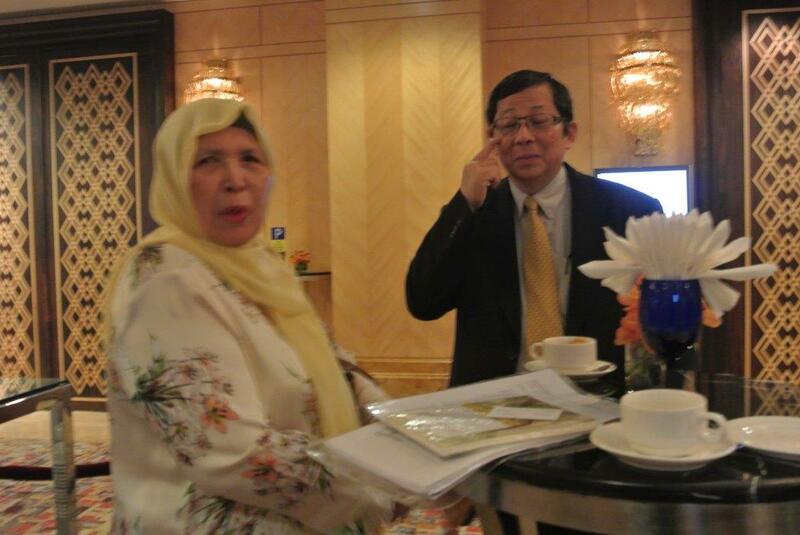 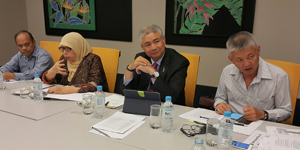 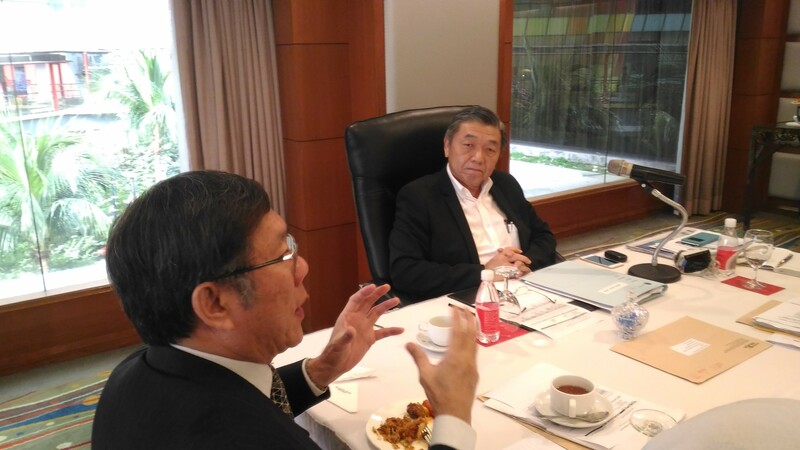 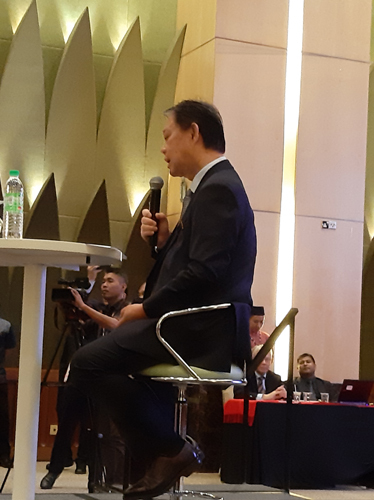 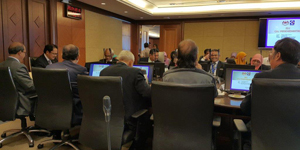 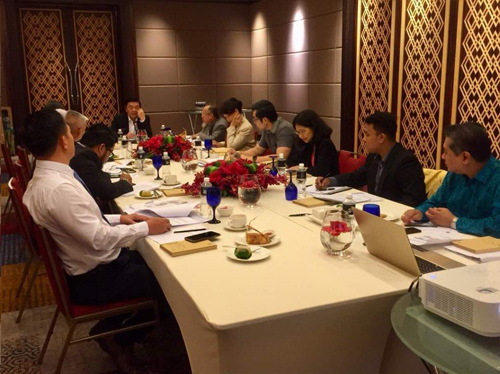 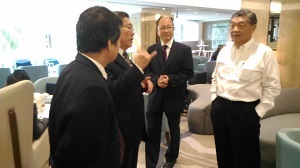 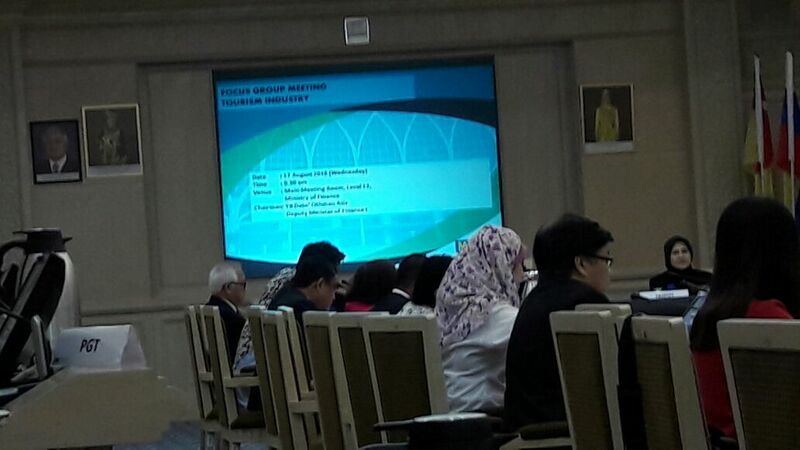 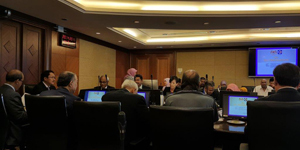 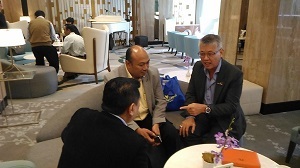 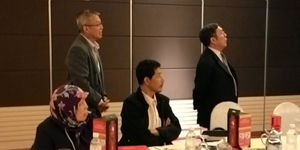 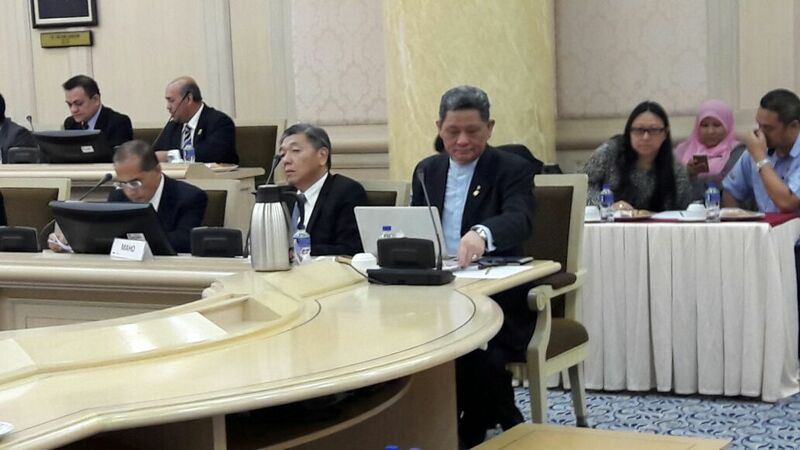 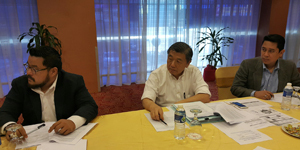 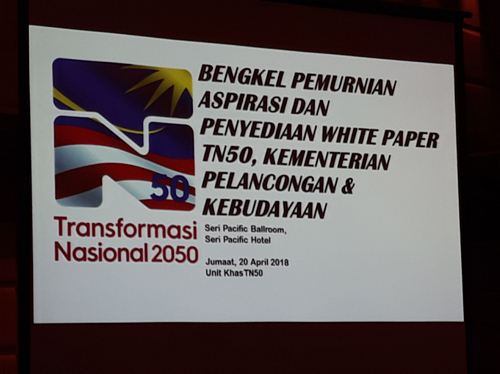 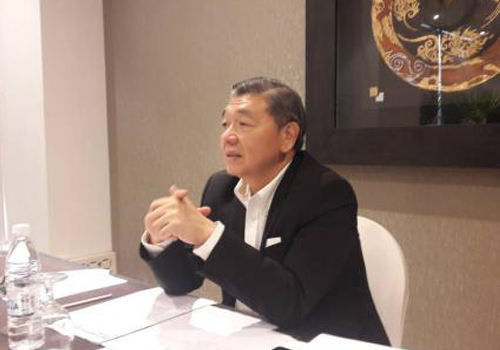 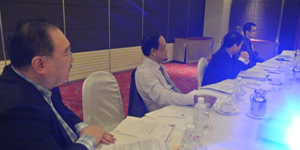 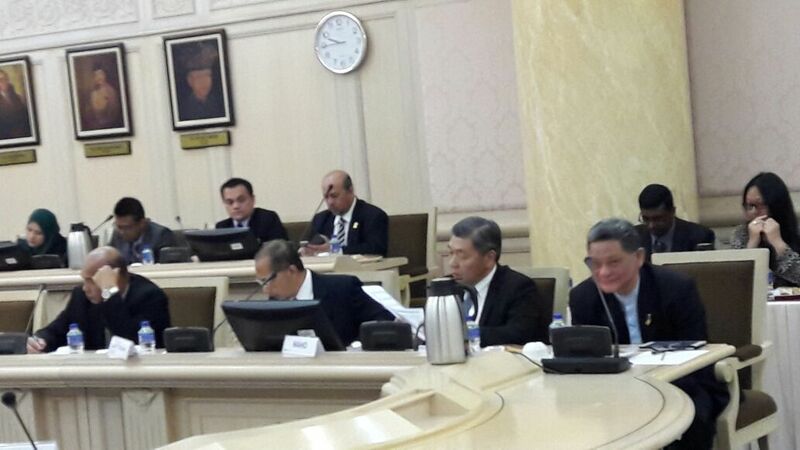 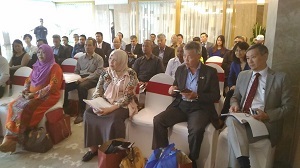 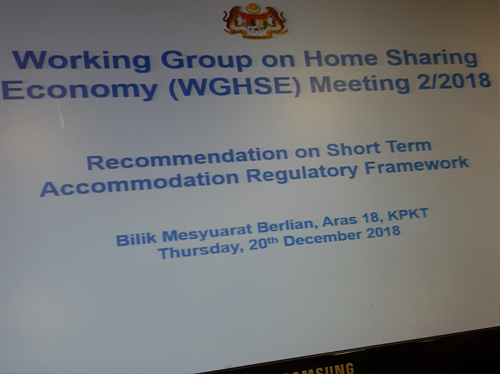 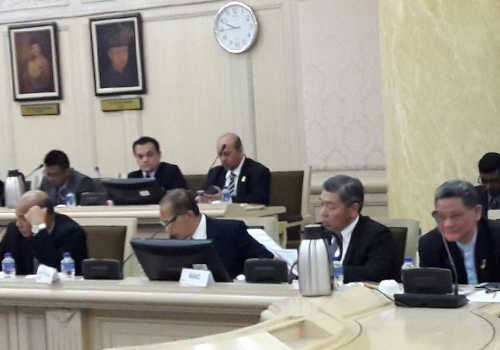 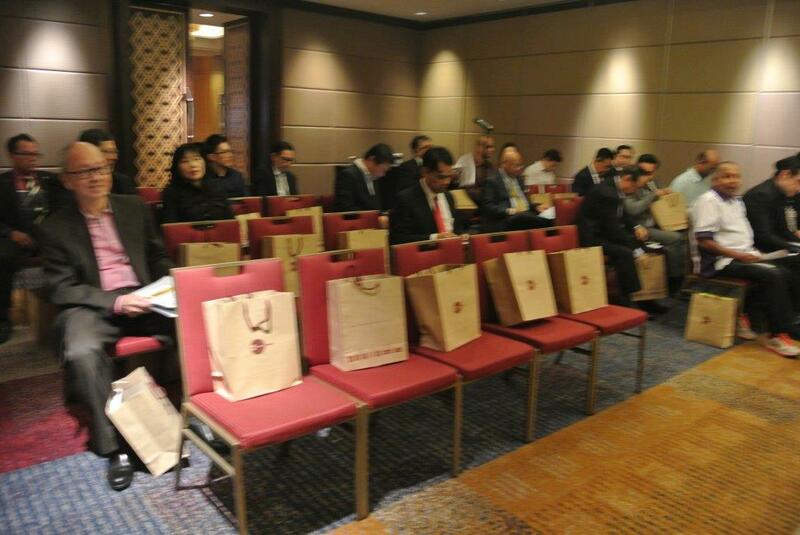 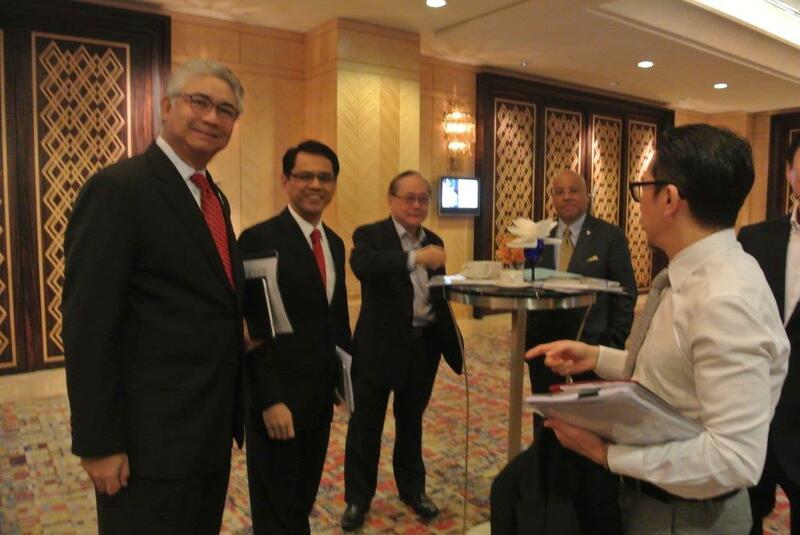 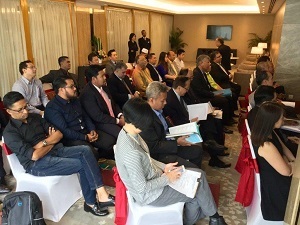 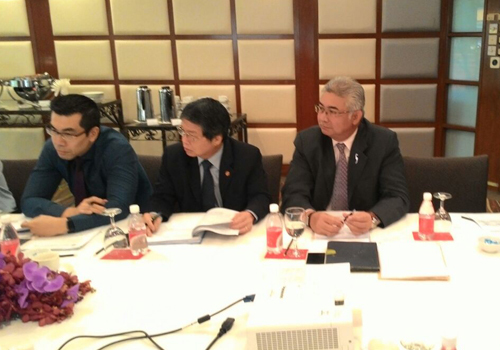 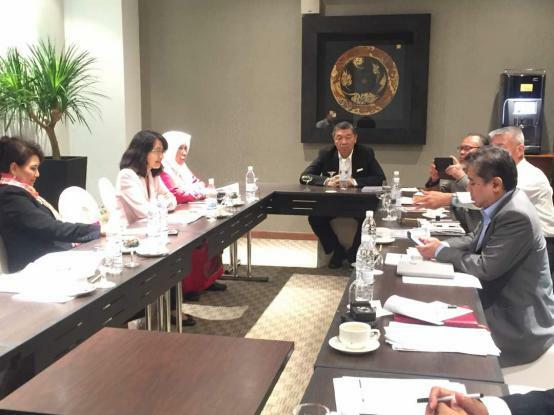 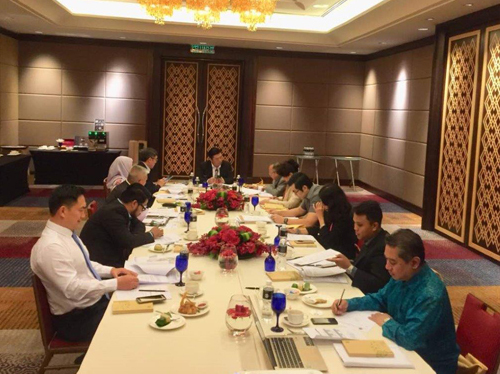 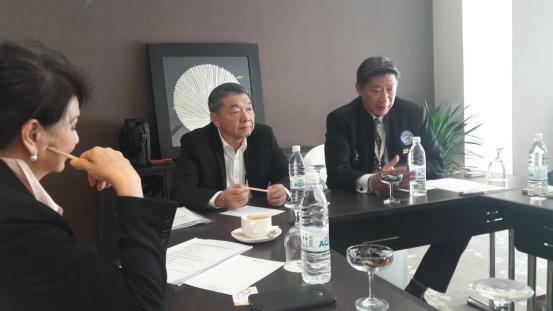 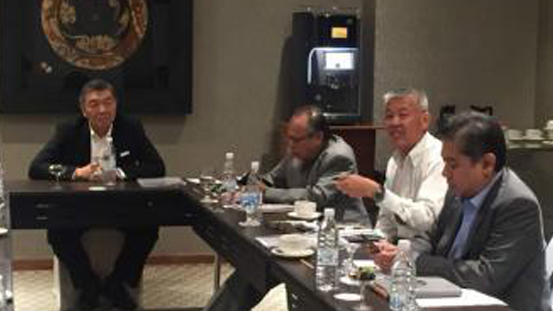 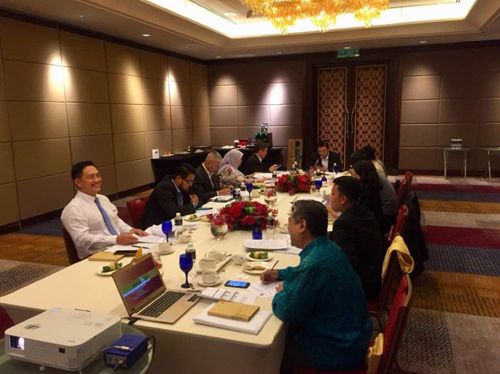 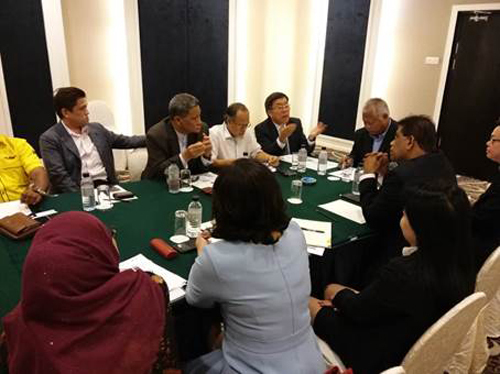 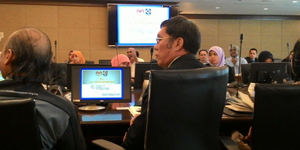 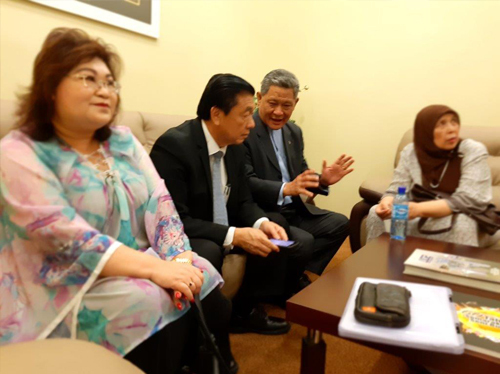 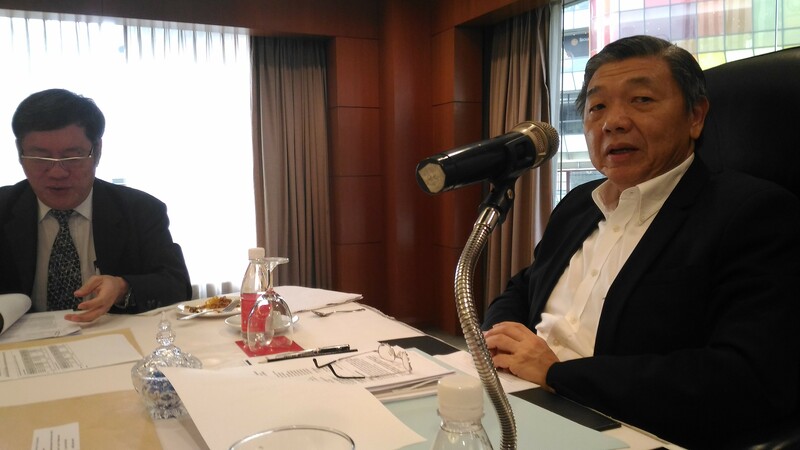 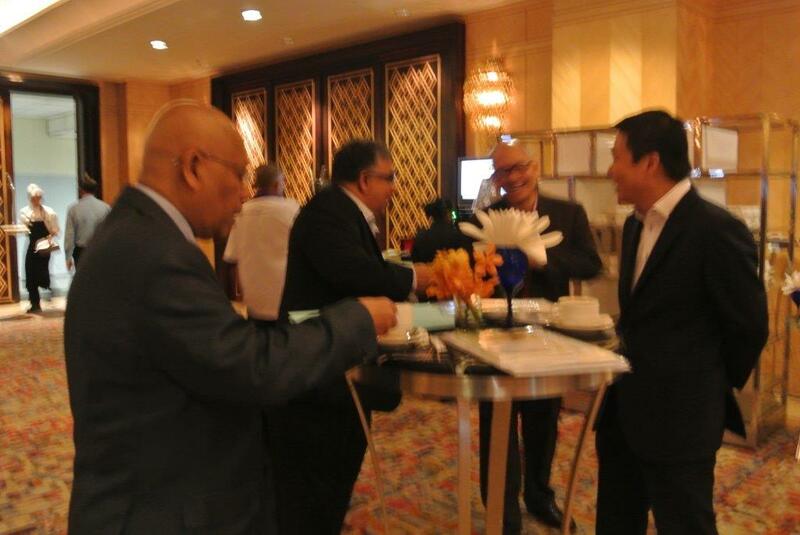 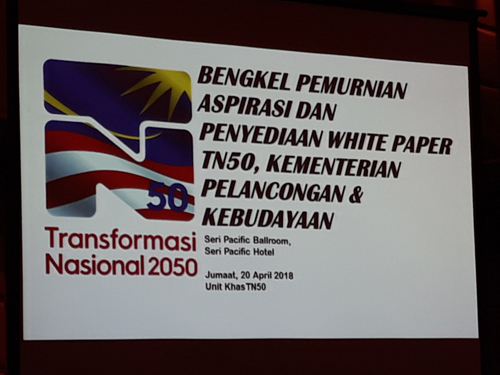 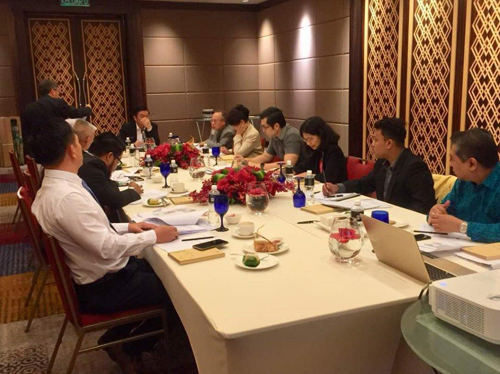 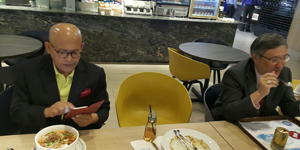 MAHO president Tan Sri Dato' Teo Chiang Hong attended the session and raised up hotel sector request for incentives. 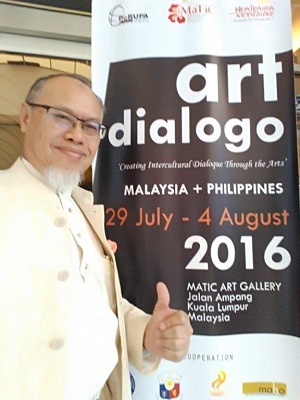 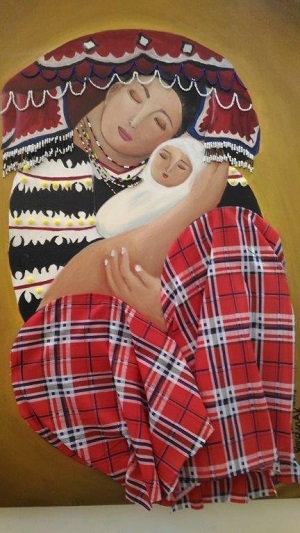 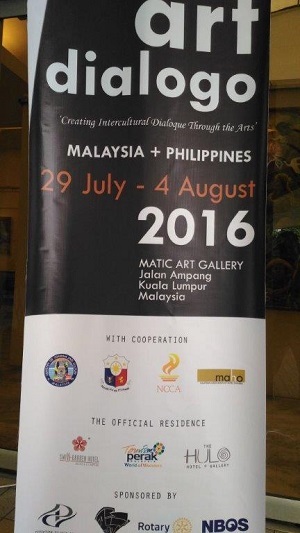 MAHO assisted and co-operated in ArtDialogo joint Malaysians and Philippines artists exhibition at MaTiC 02-04 Aug 2016. 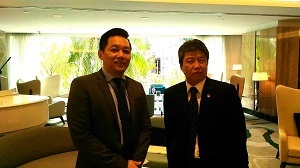 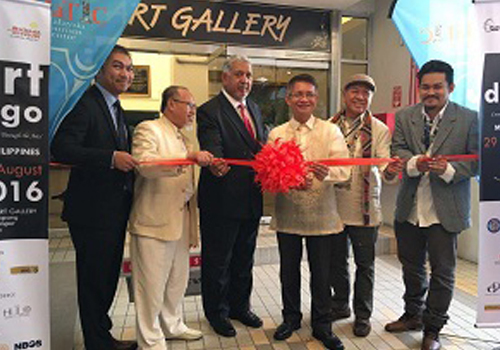 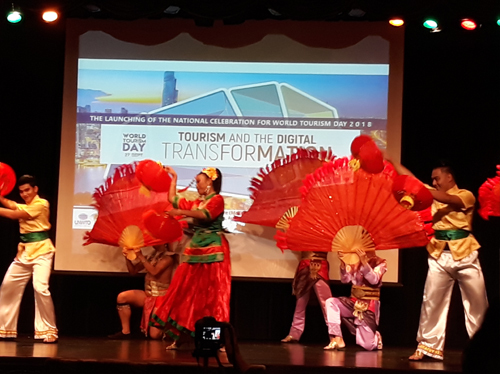 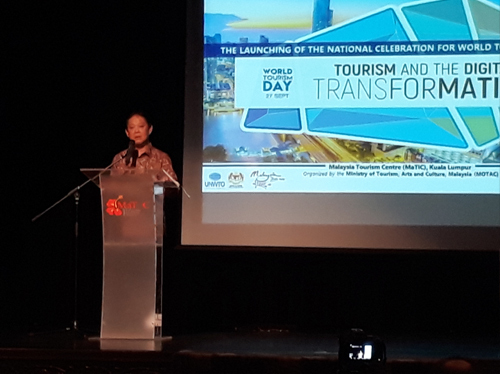 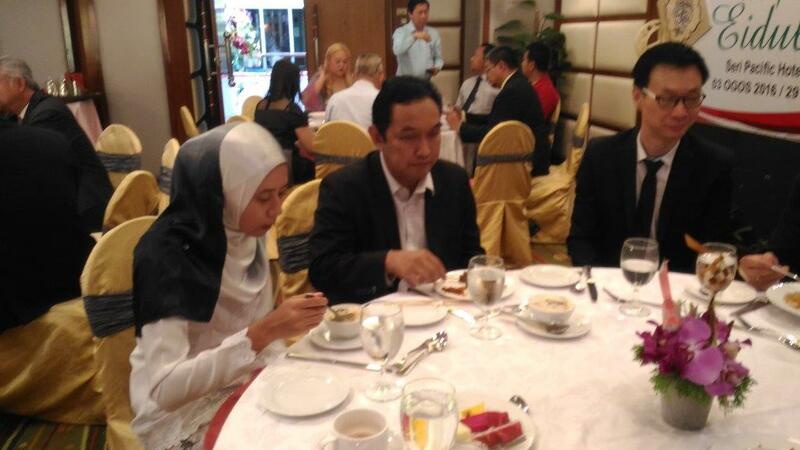 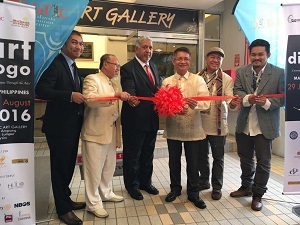 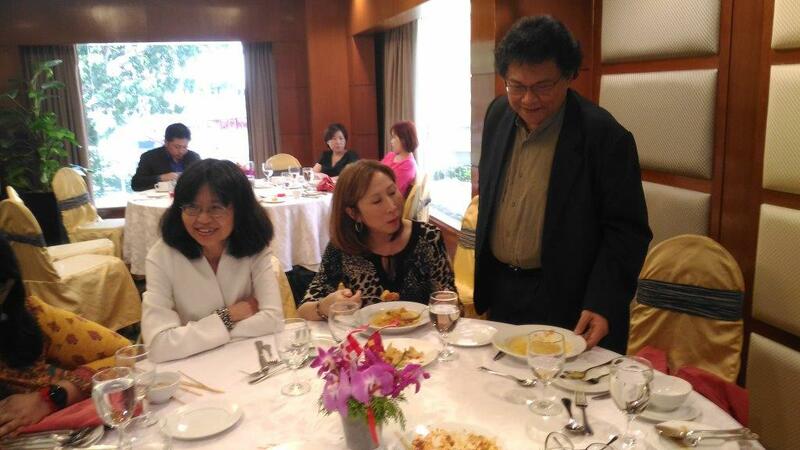 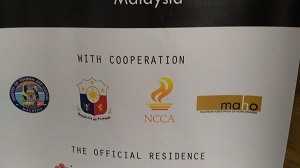 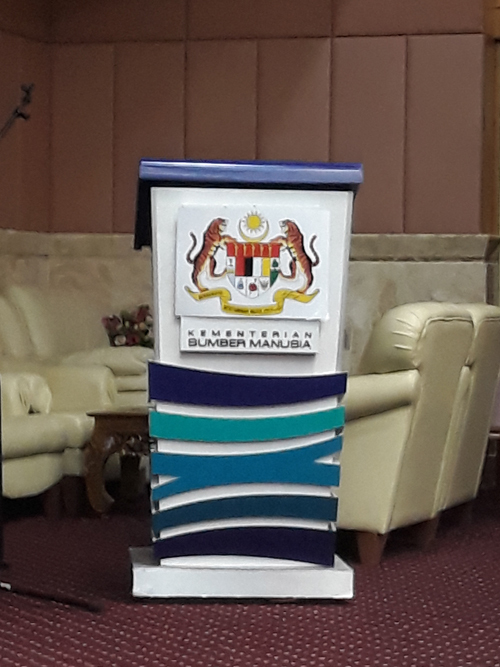 The event was officially launched His Excellency Philippines Ambassador to Malaysia Mr. J. Eduardo Malaya. 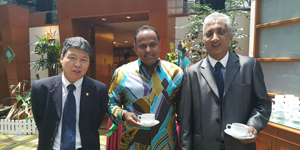 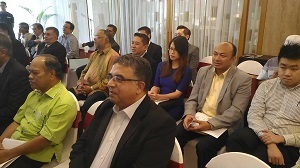 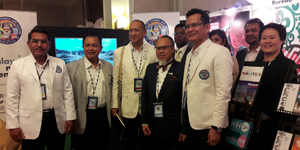 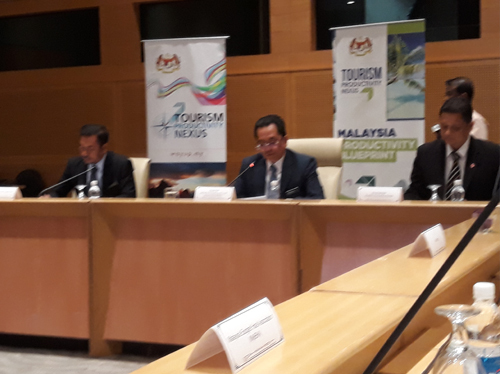 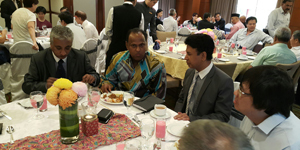 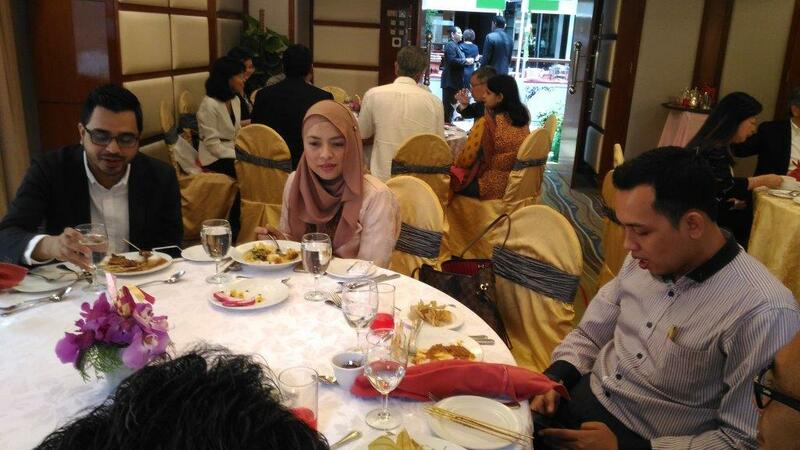 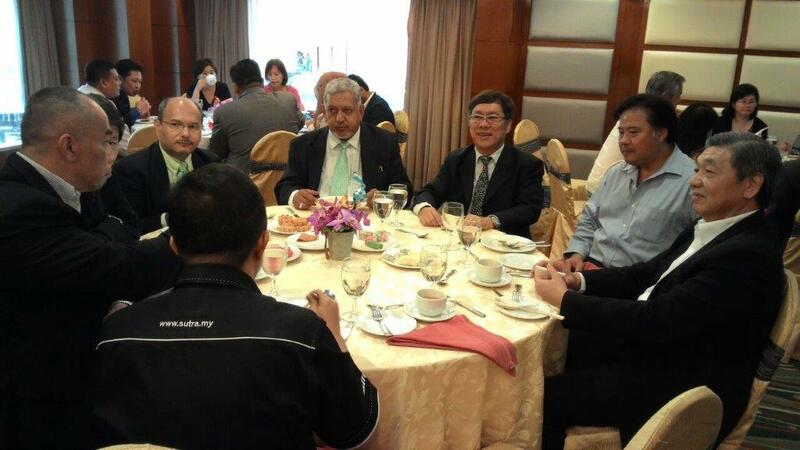 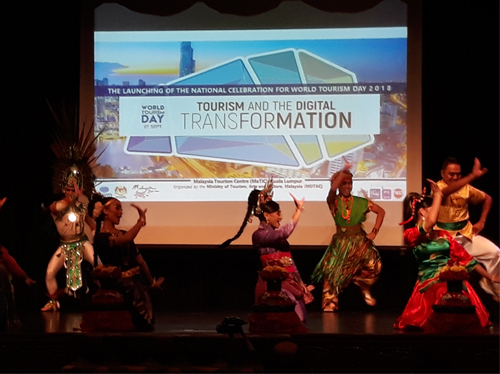 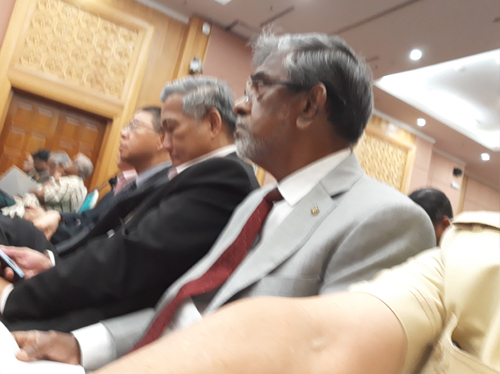 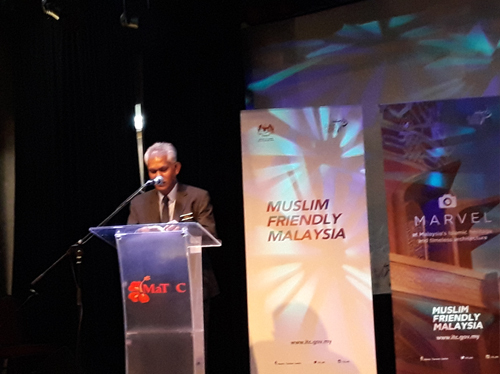 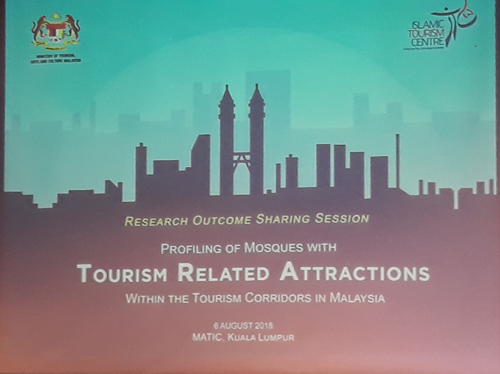 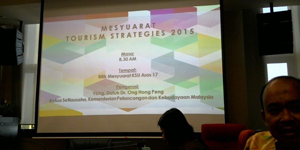 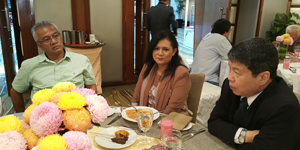 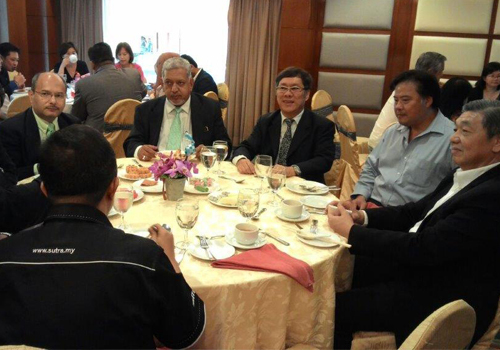 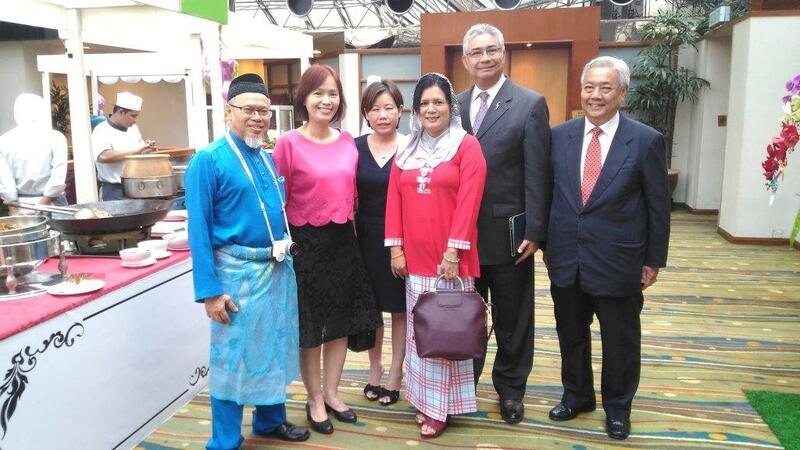 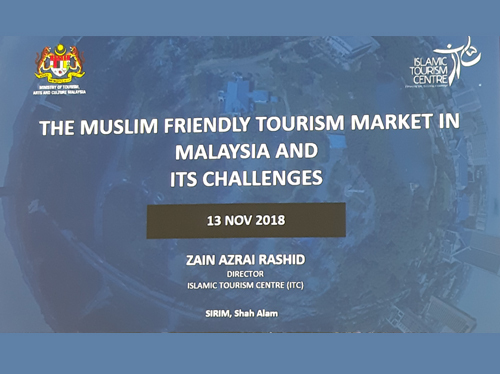 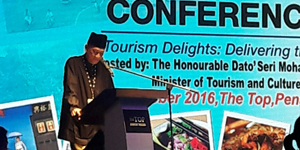 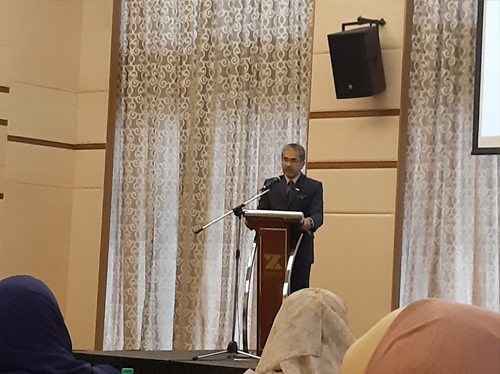 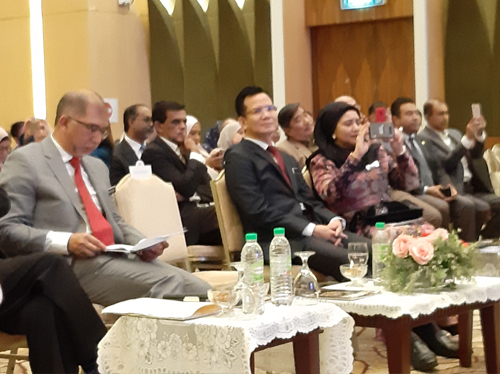 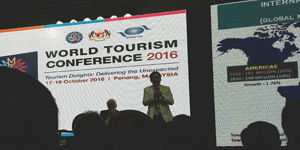 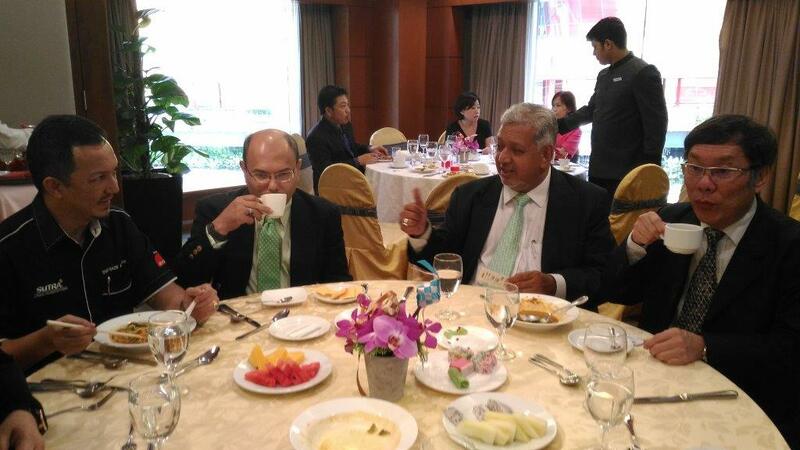 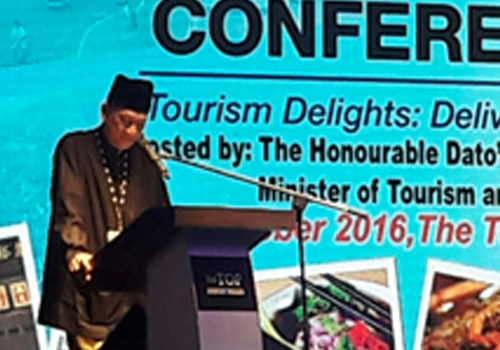 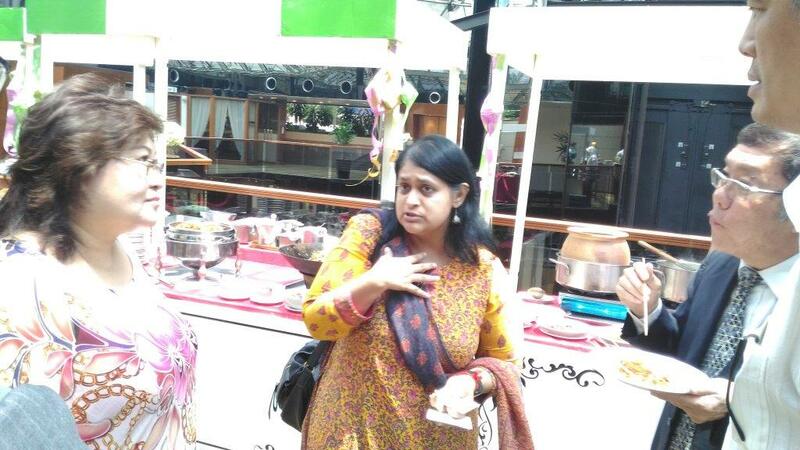 Datuk Seri Mirza Mohamad Taiyab from Tourism Malaysia was present. 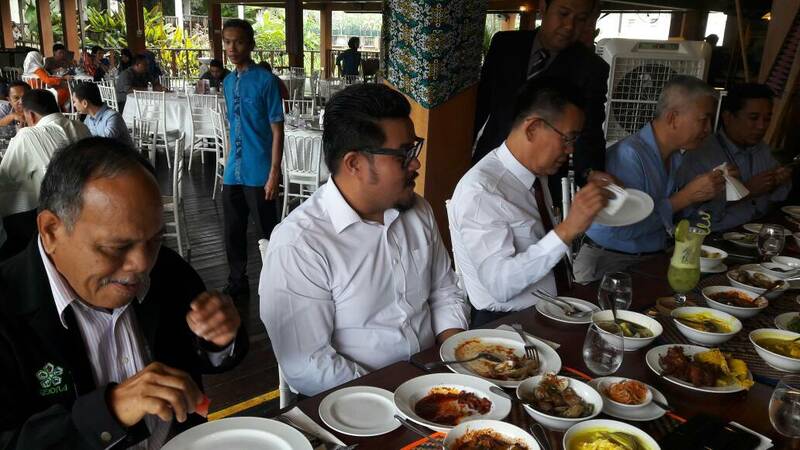 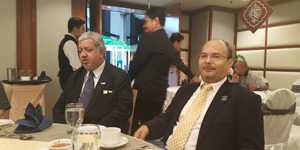 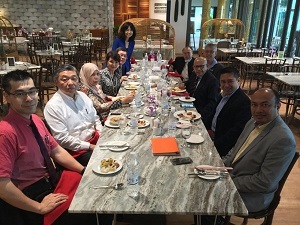 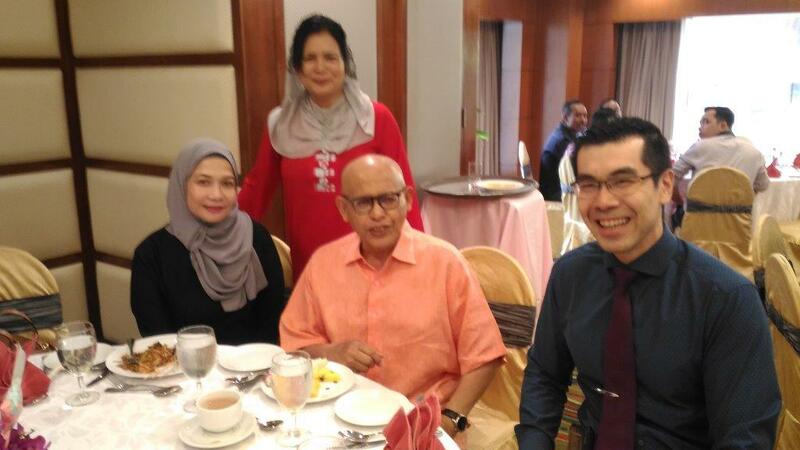 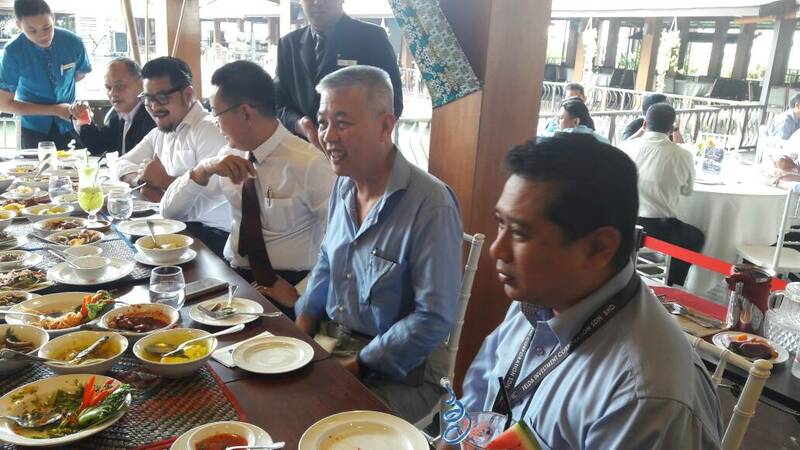 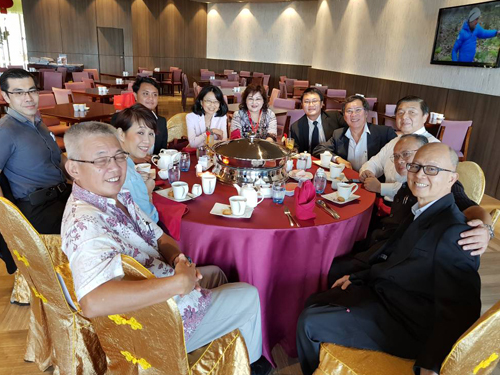 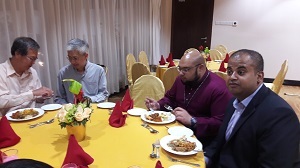 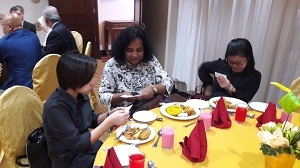 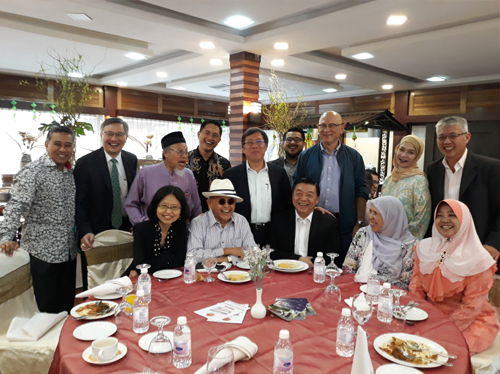 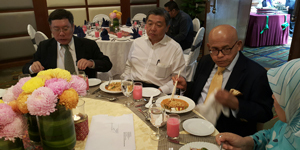 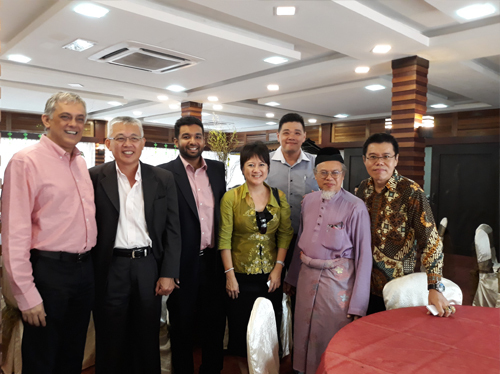 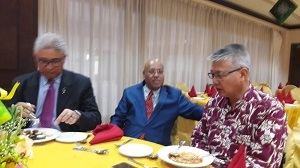 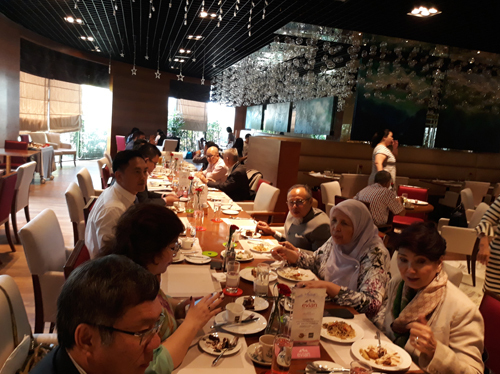 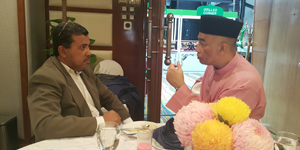 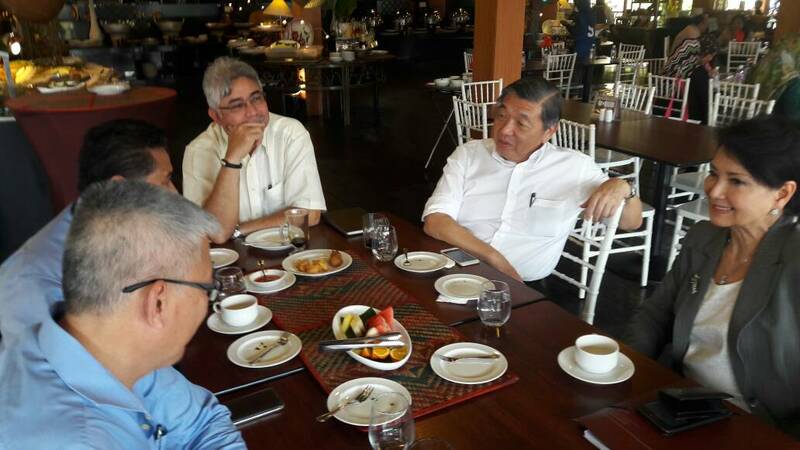 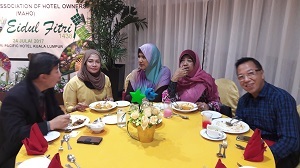 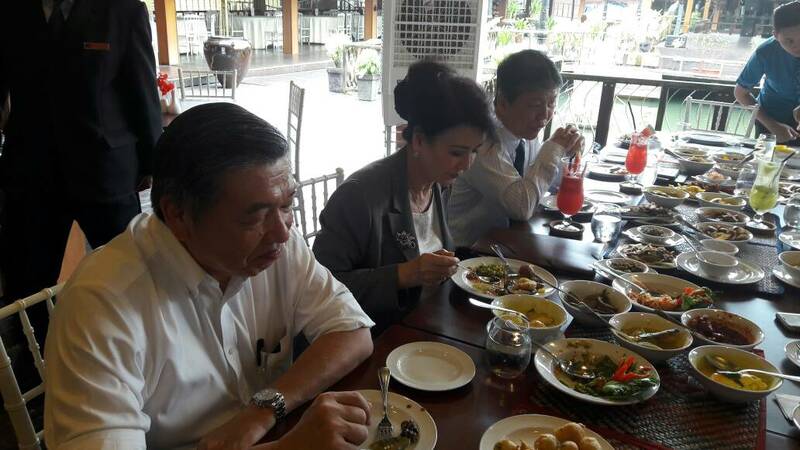 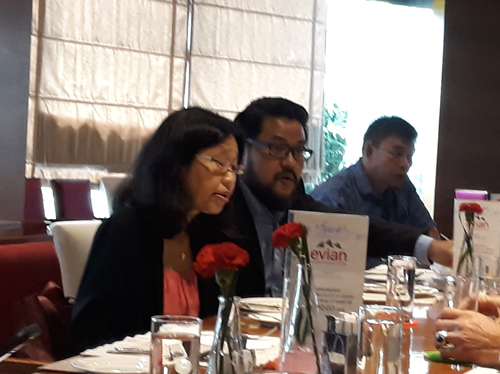 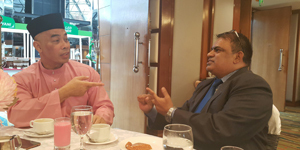 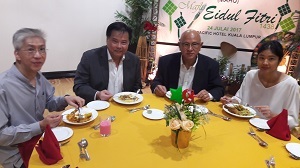 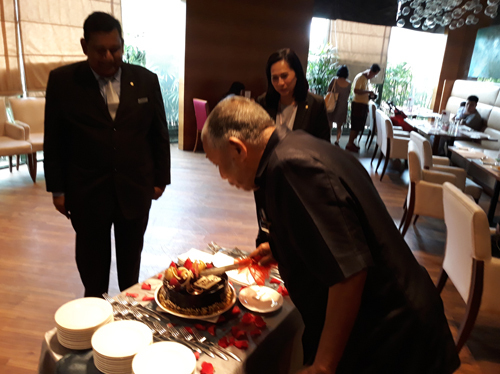 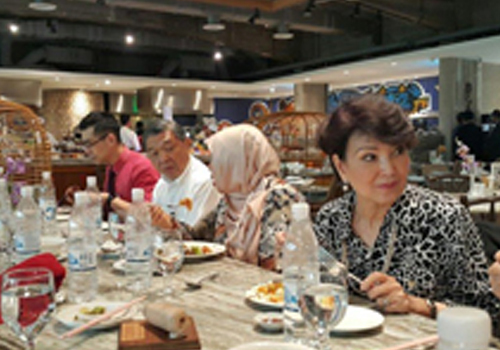 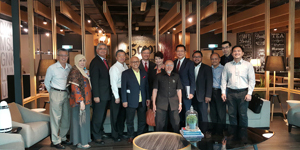 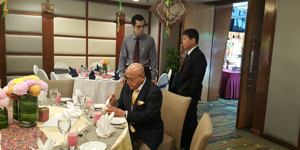 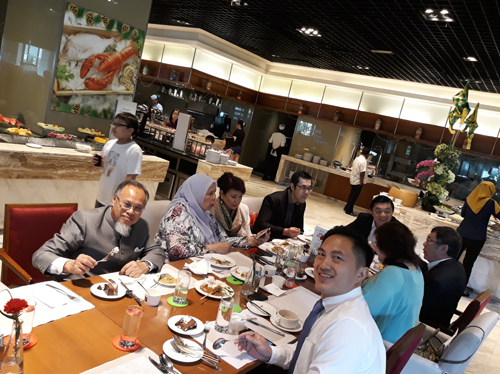 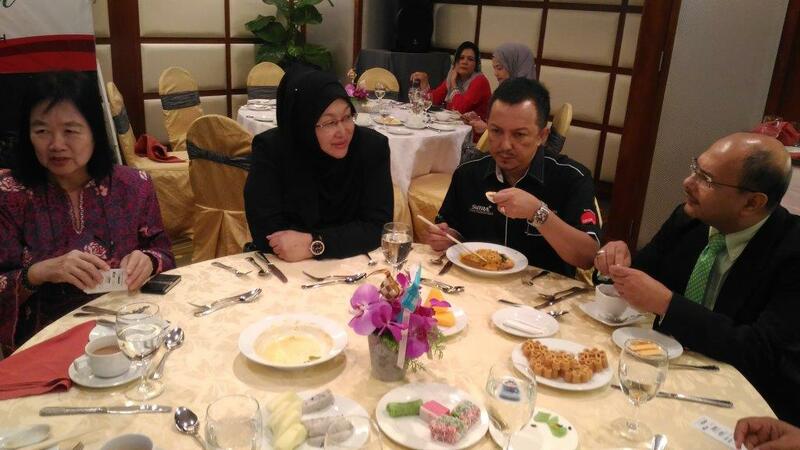 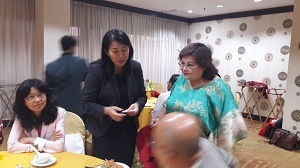 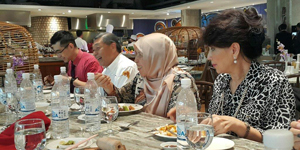 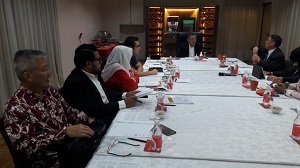 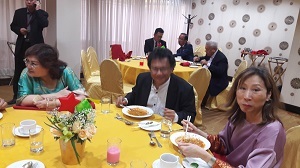 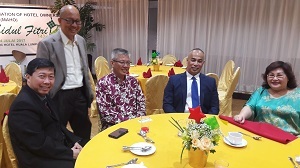 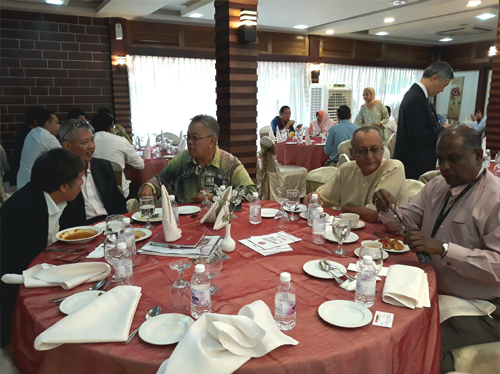 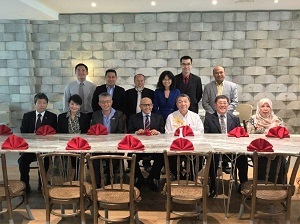 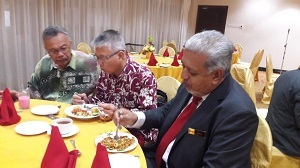 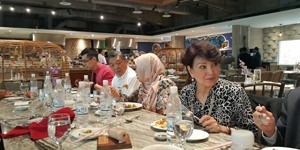 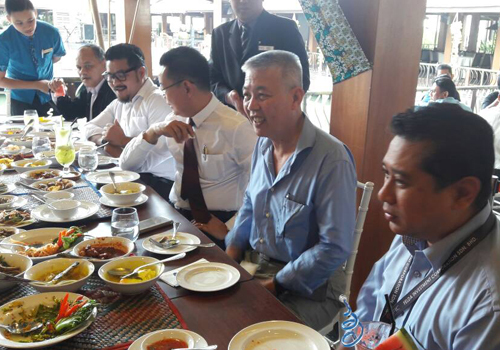 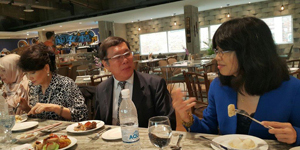 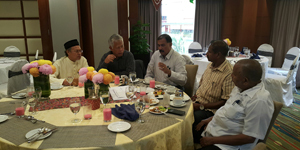 A farewell lunch for MAHO outgoing president YBhg Tan Sri Dato' Sri Abdul Aziz Abdul Ragman hosted by Federal KL was held at Kon Tiki Restaurant. 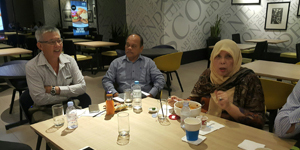 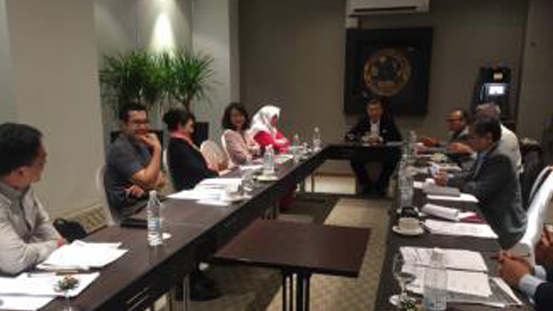 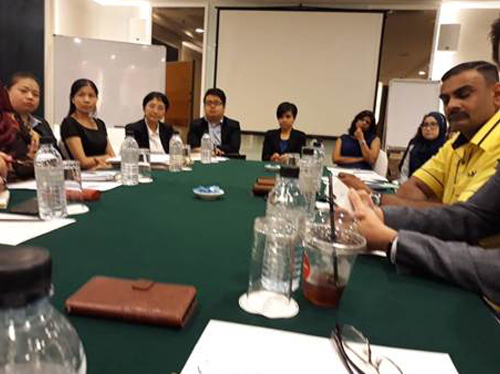 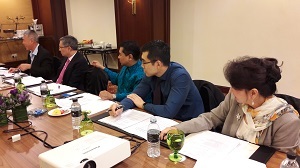 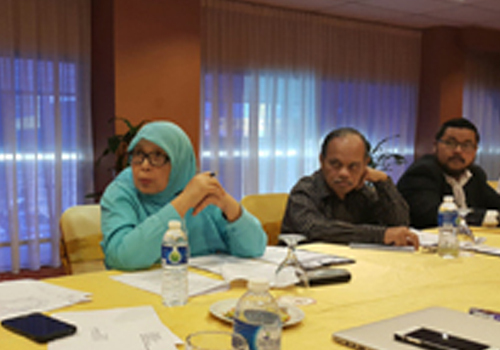 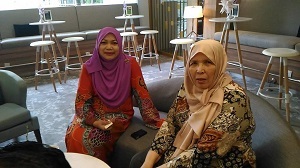 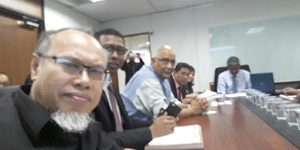 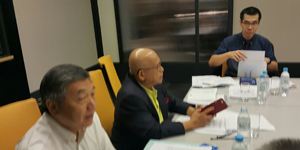 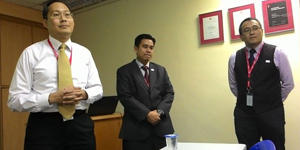 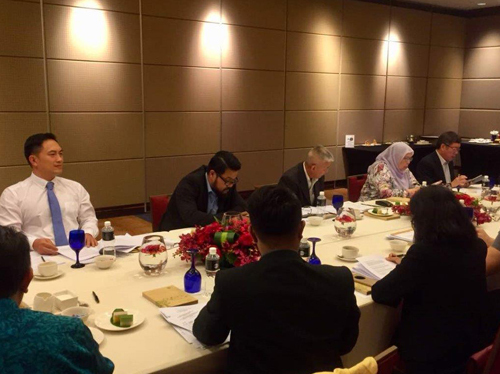 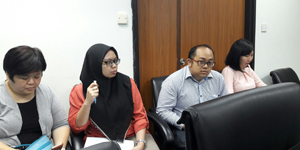 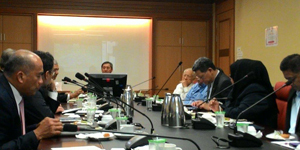 The last meeting for 2014-2016 term was held at Level 8, Menara Dion, Jalan Sultan Ismail. 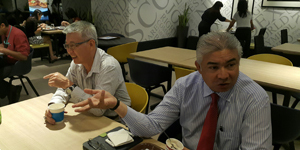 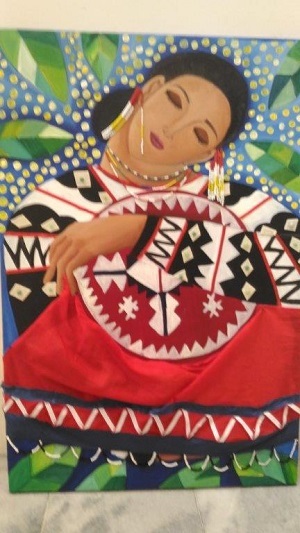 Prior to the meeting the council was treated to lunch at Scoop. 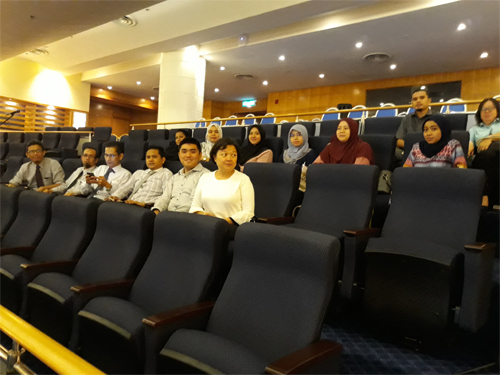 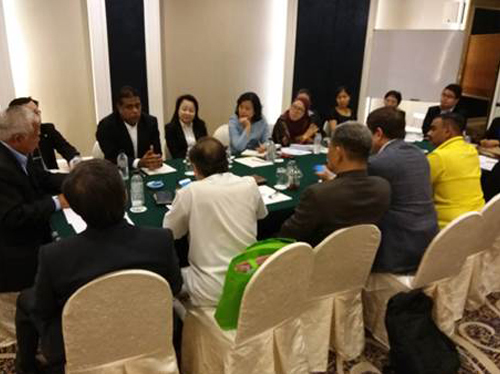 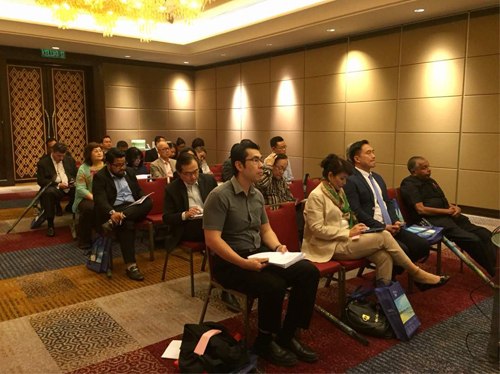 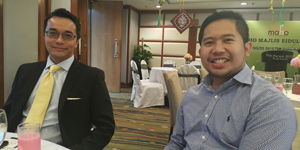 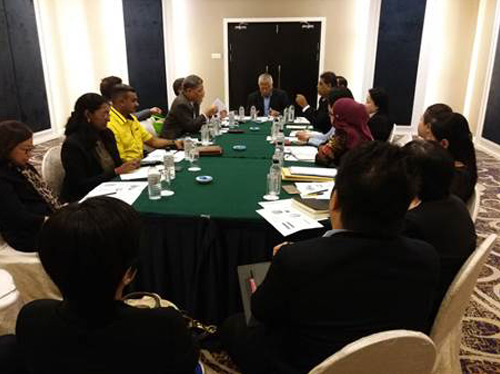 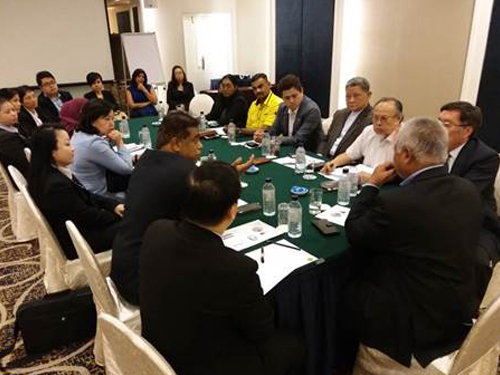 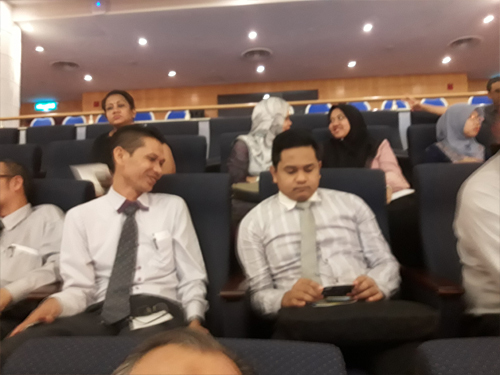 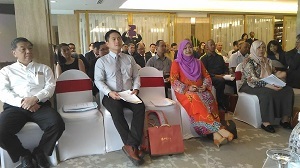 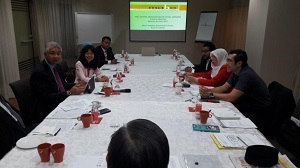 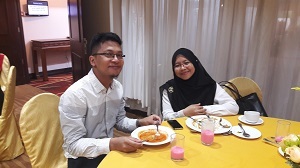 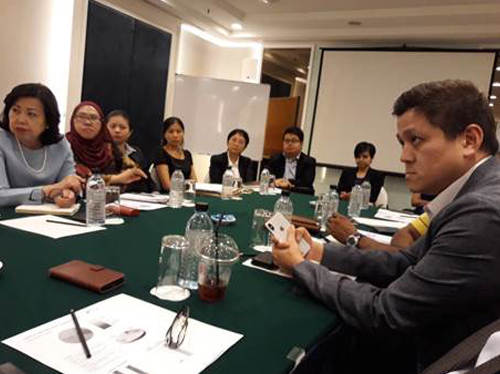 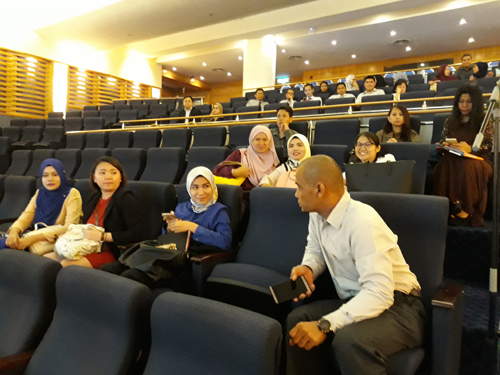 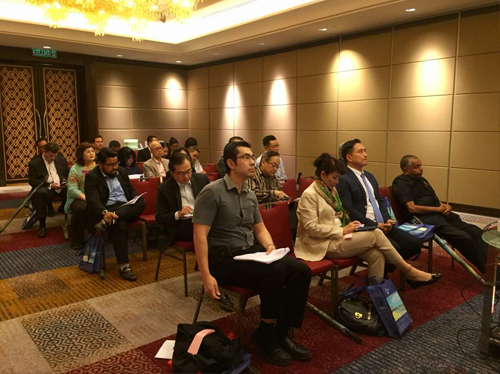 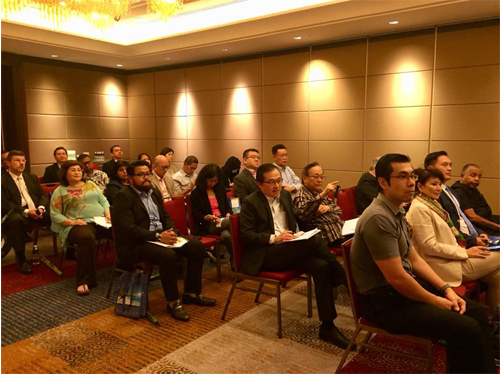 Grand Central Enterprises Berhad conducted a 3-day (25-27Mar) GST workshop for its hotel group staff at Grand Continental Hotel K. Lumpur. 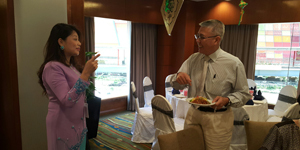 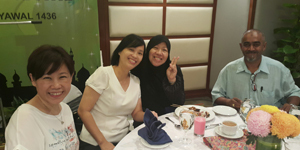 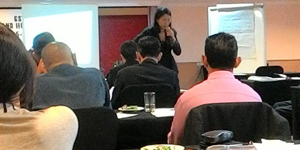 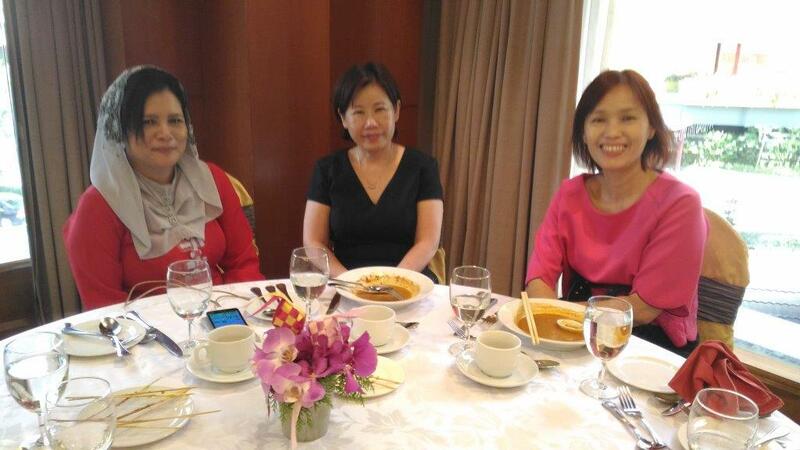 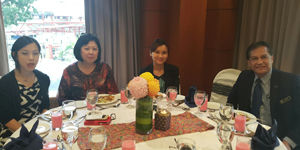 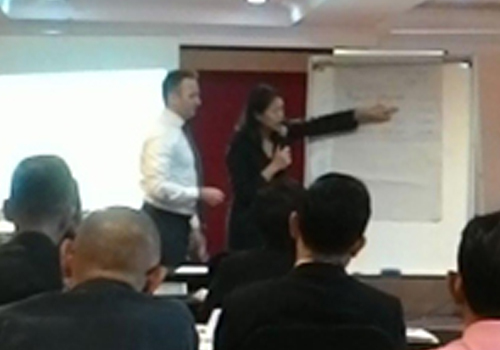 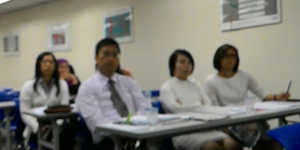 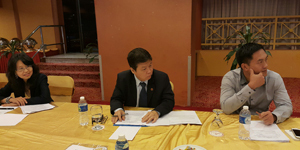 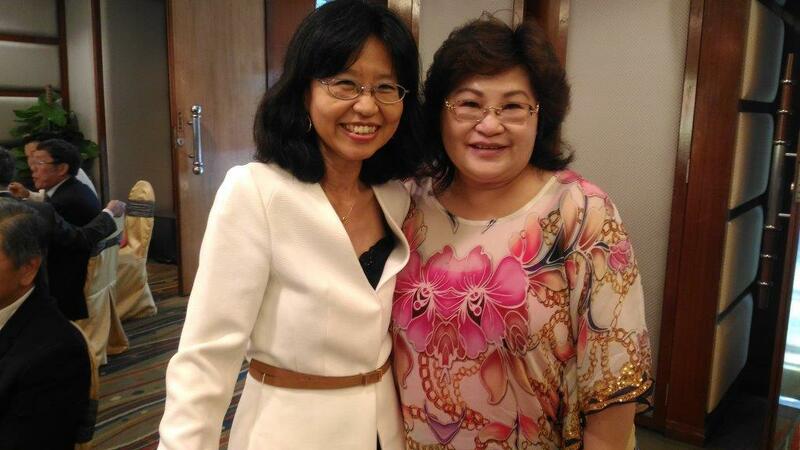 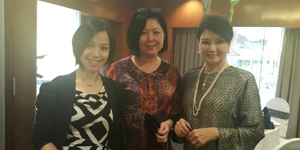 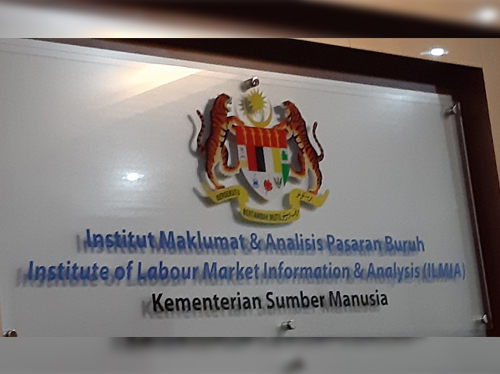 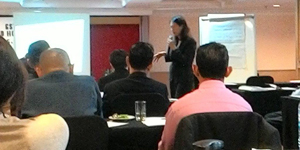 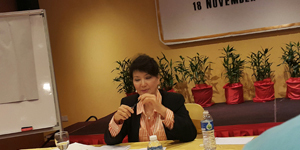 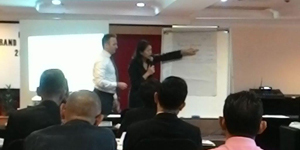 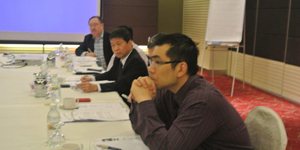 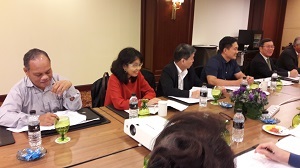 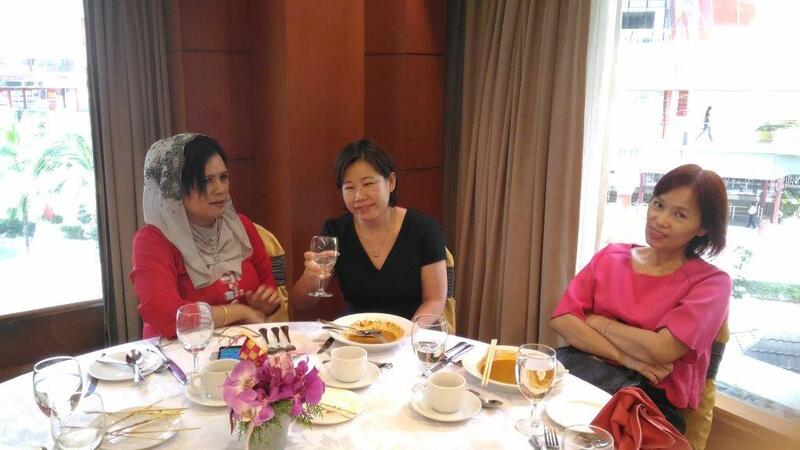 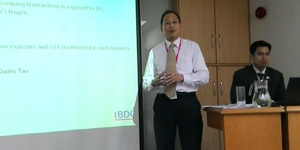 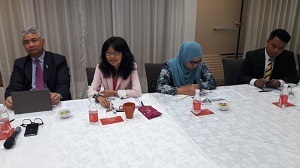 The workshop facilitator was Ms Wong Yoke Mei of G Seeders Consultancy Sdn Bhd. 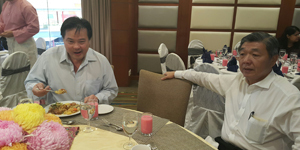 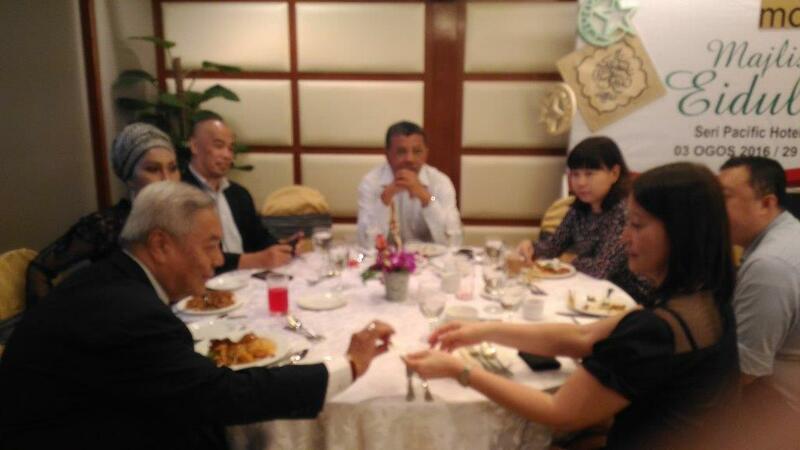 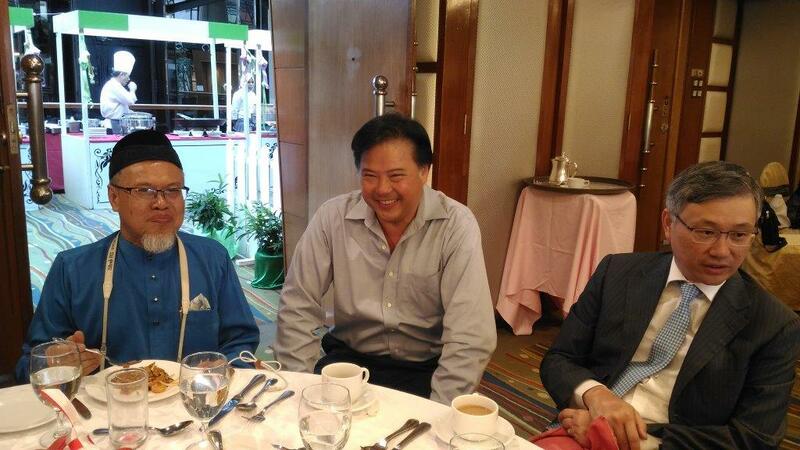 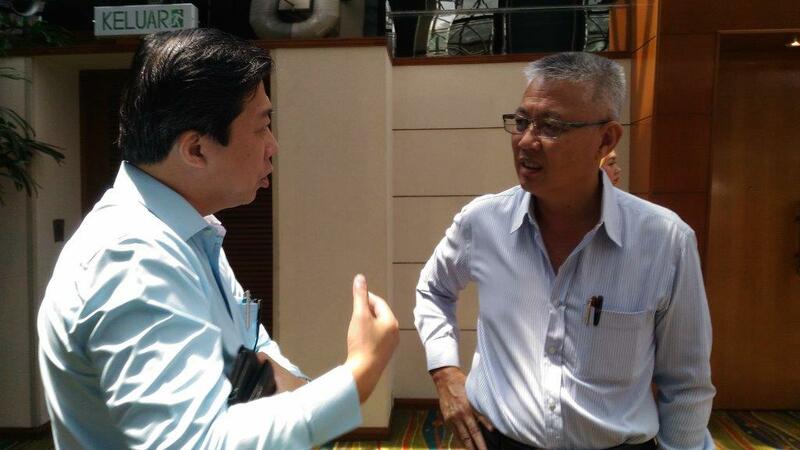 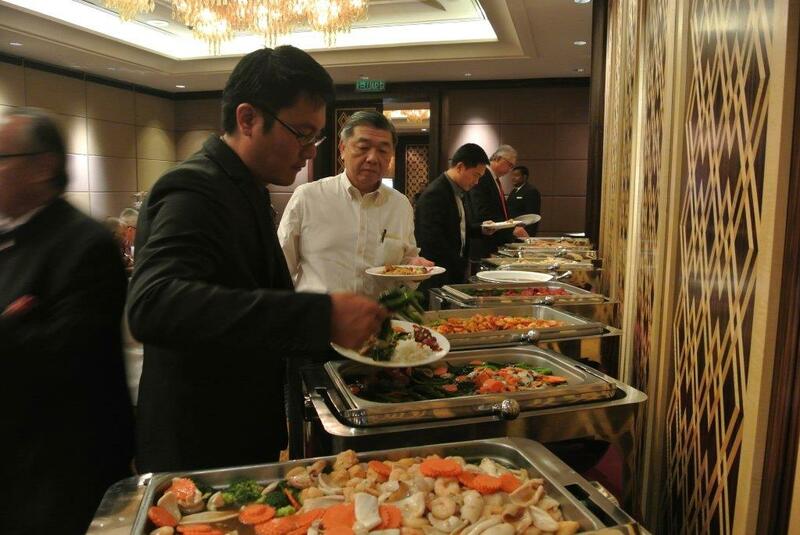 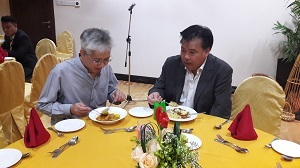 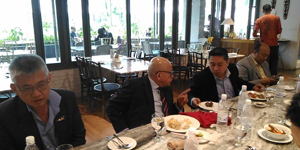 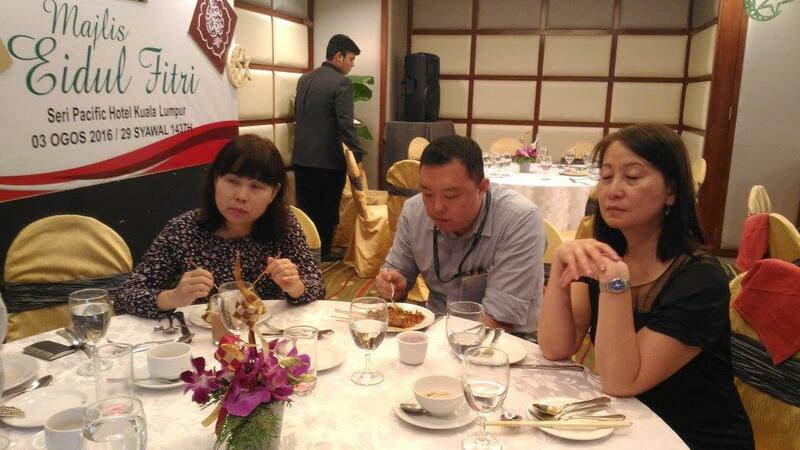 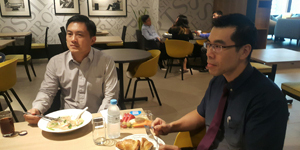 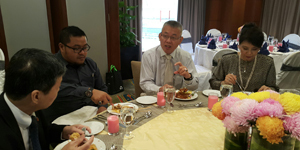 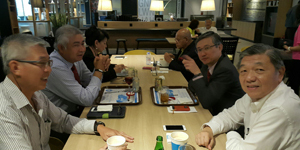 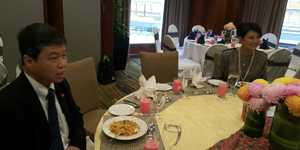 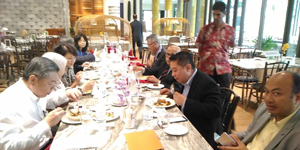 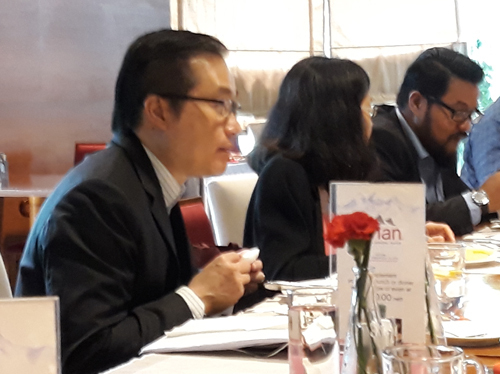 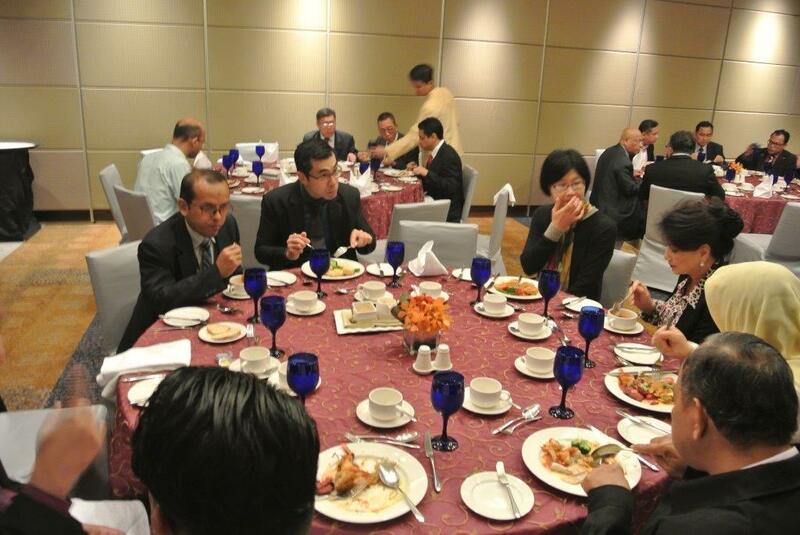 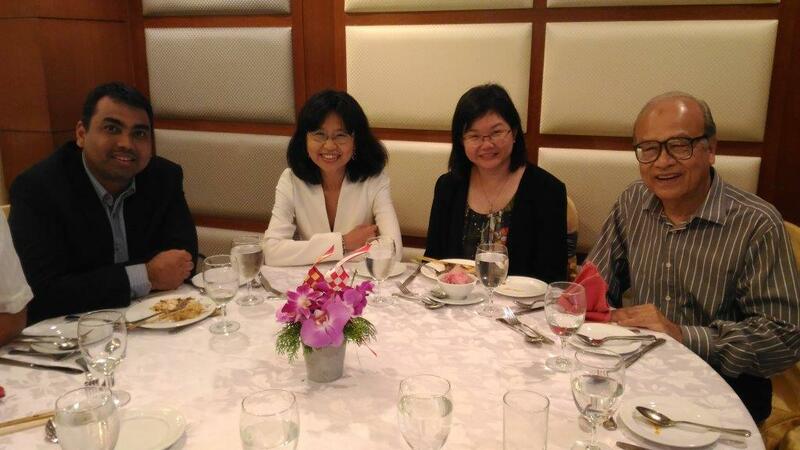 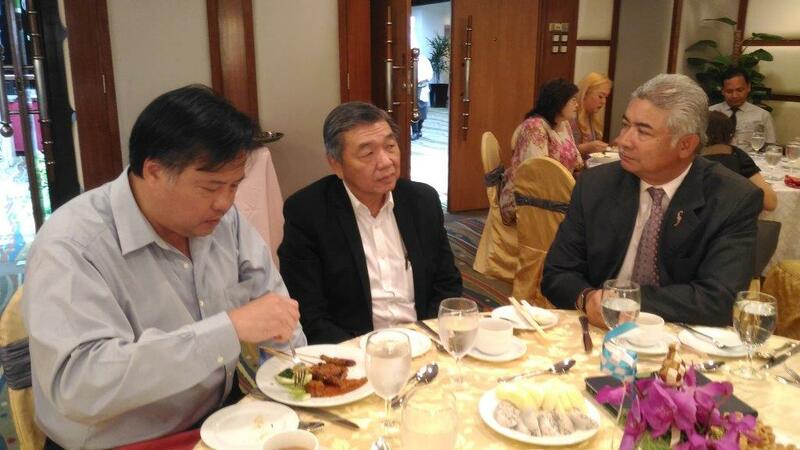 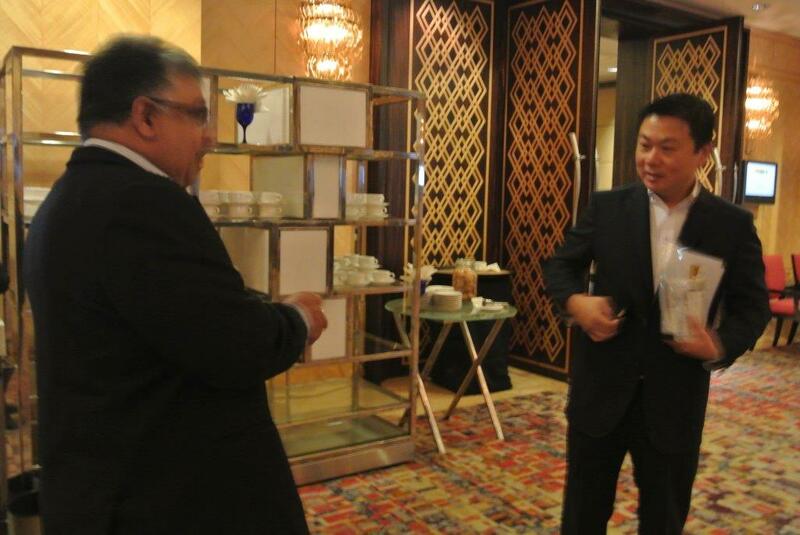 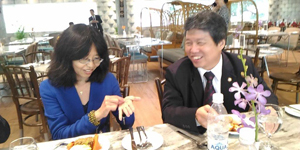 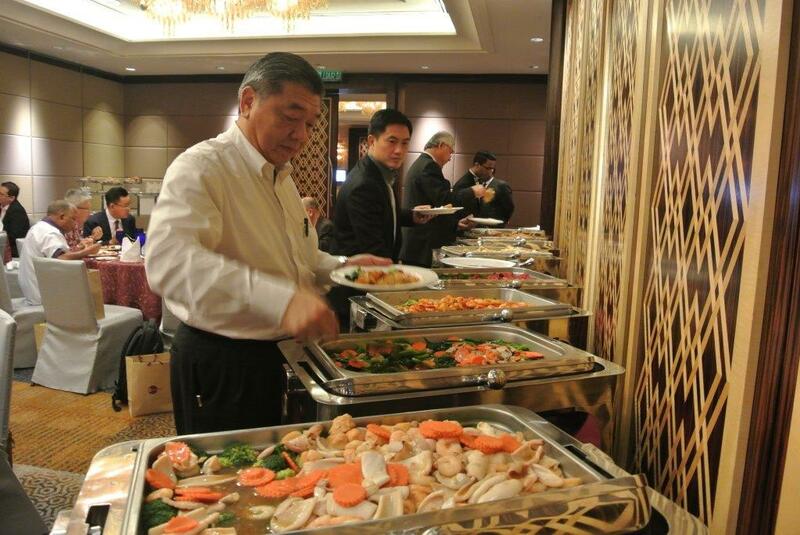 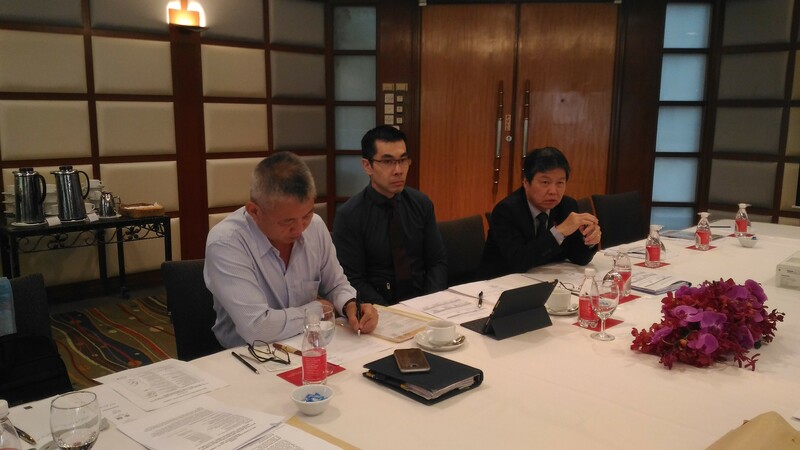 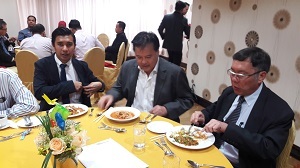 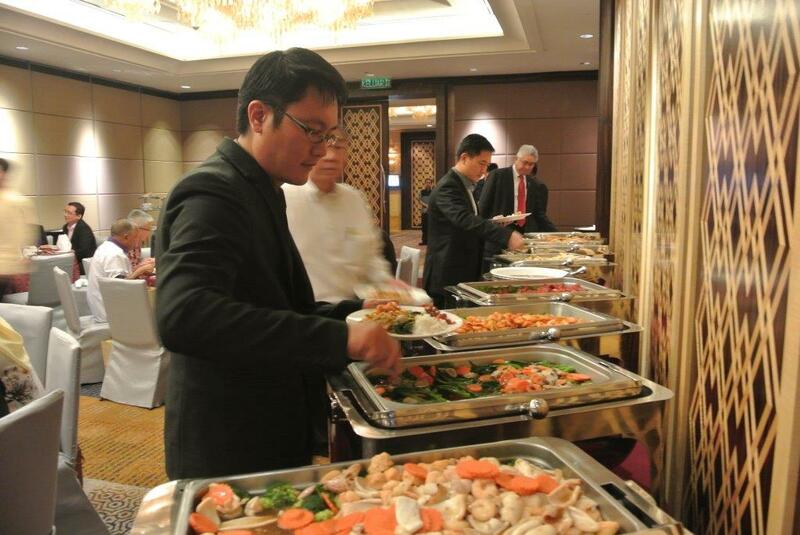 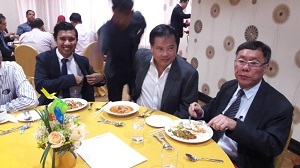 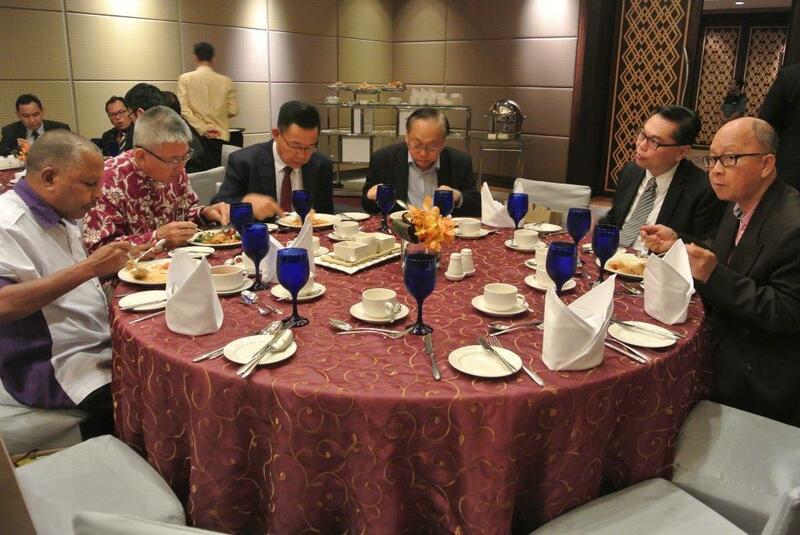 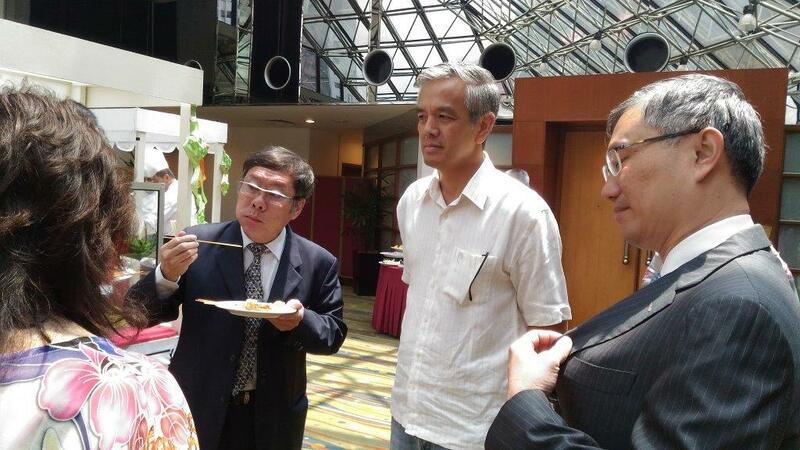 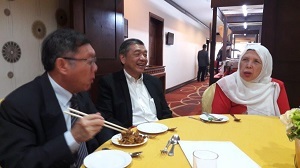 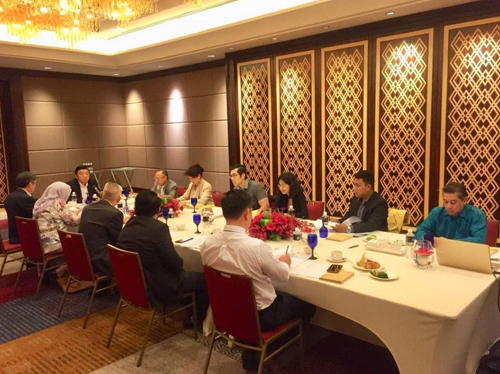 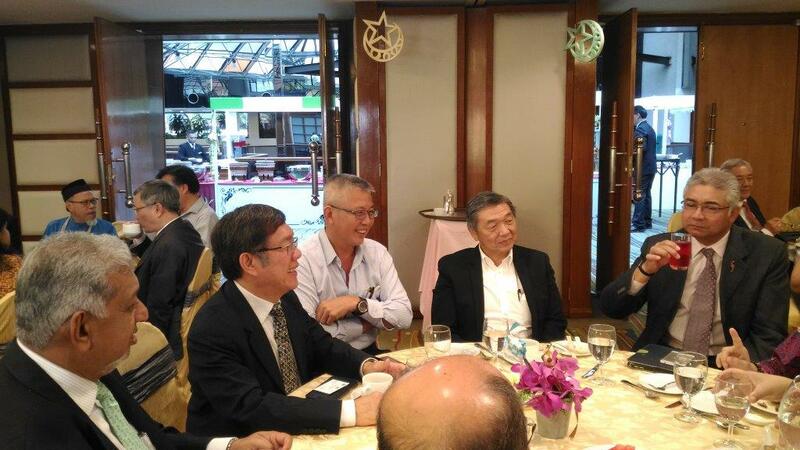 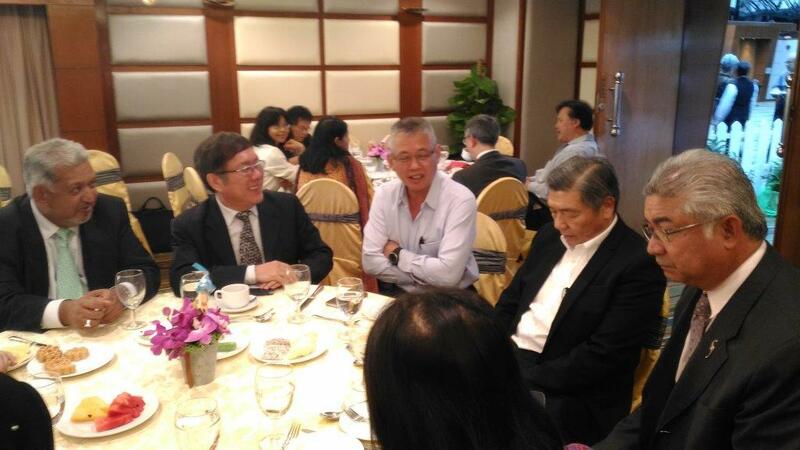 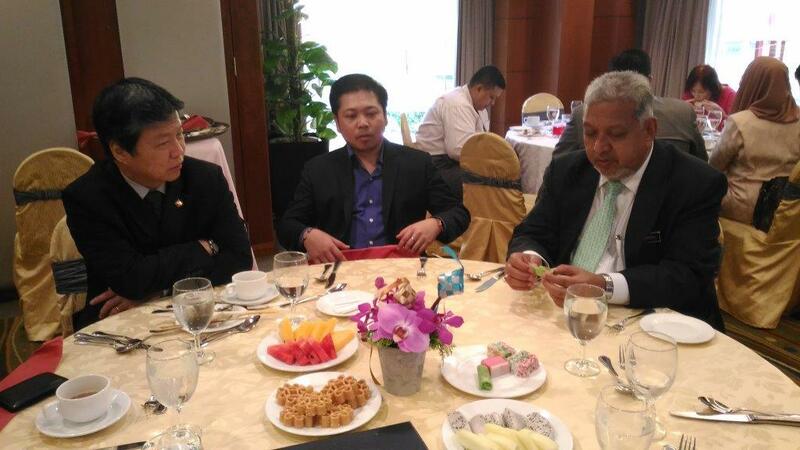 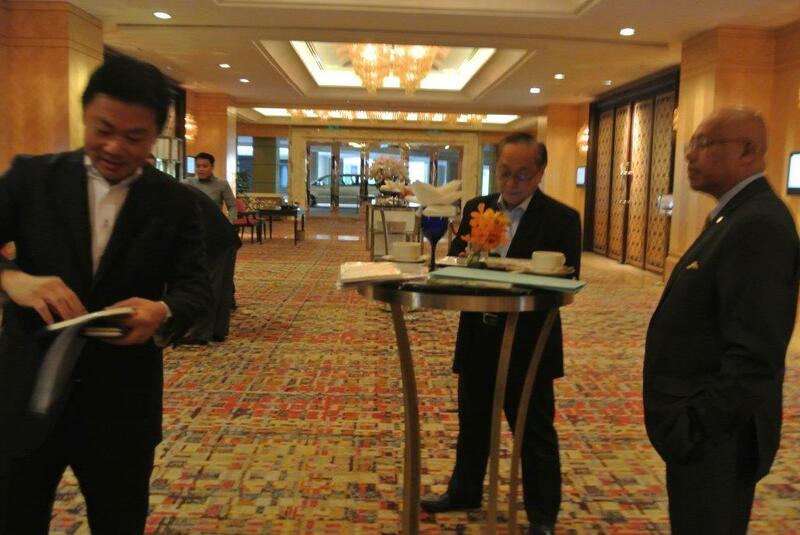 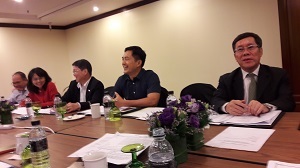 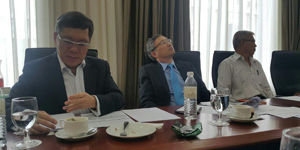 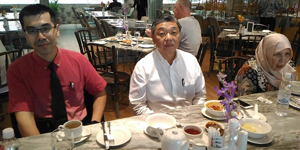 Lunch was hosted by Mr. Andrew Wong, MD, PJ Development Holdings (represented by William Wu) before the meeting. 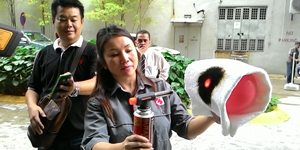 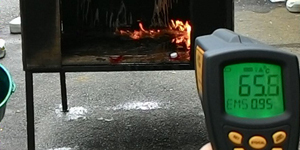 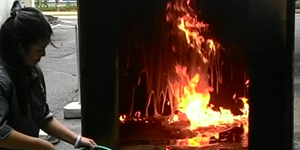 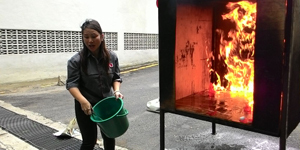 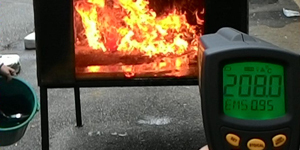 A presentation/demonstration on fire fighting was held by FlamOff after the meeting.